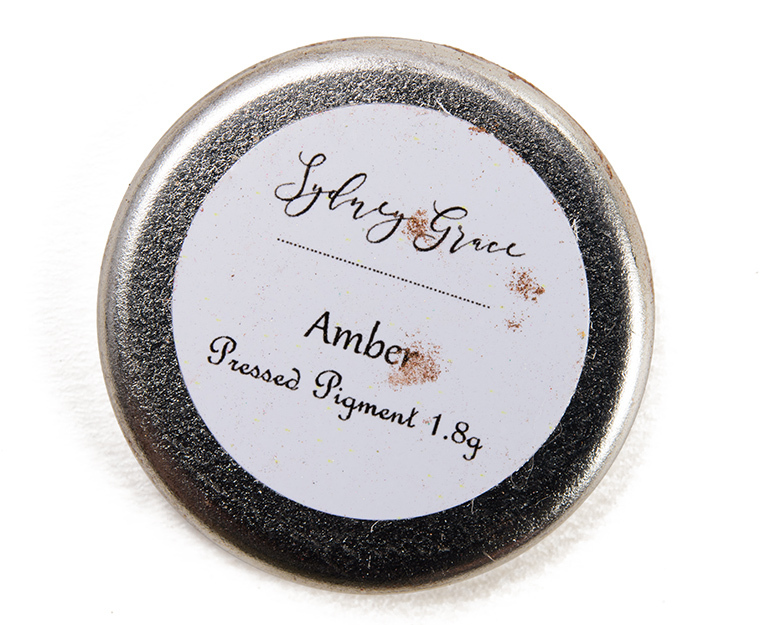 Sydney Grace Amber Pressed Pigment Shadow ($6.00 for 0.06 oz.) 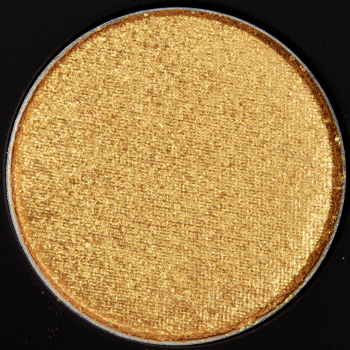 is a rich, golden bronze with warm, yellow undertones and a soft, metallic sheen–more sheen than overt, more textured shimmer once applied. The consistency was smooth, lightly creamy, and dense without being too firmly pressed nor too thick in the pan that it became difficult to pick up with a brush. 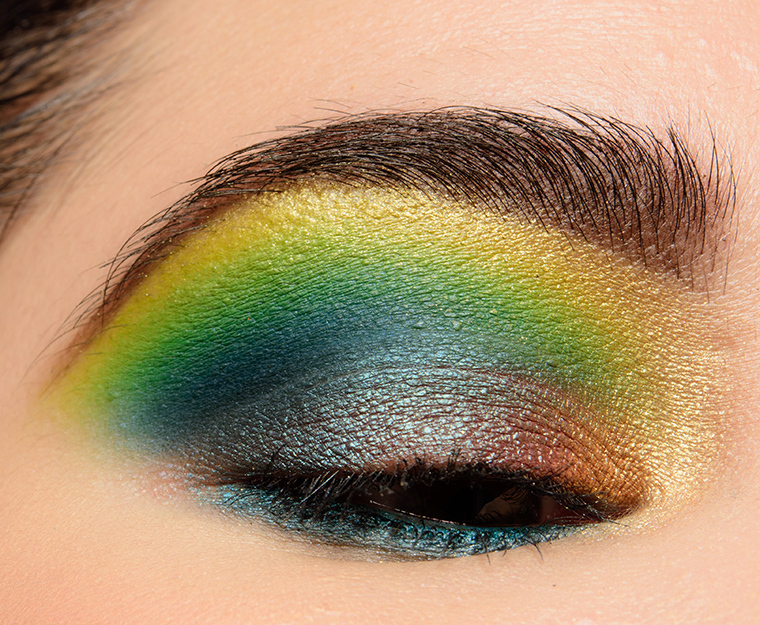 It had opaque color payoff that applied evenly and blended out easily on my lid. It stayed on well for eight and a half hours before fading noticeably. Too Faced Rizzo (LE, $16.00) is less shimmery (95% similar). MAC Tempting (P, $17.00) is less shimmery, darker, cooler (95% similar). 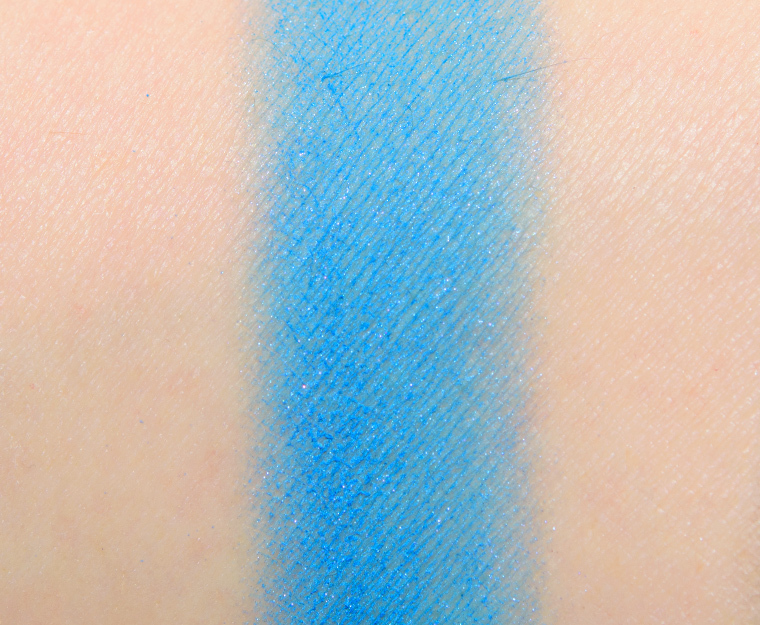 Juvia’s Place Sheba (P, ) is less shimmery (95% similar). Colour Pop The Goat (LE, $6.00) is less shimmery, lighter (90% similar). Laura Mercier Bronze Glow (LE, ) is cooler (90% similar). Too Faced Caramelized (PiP, $16.00) is lighter (90% similar). 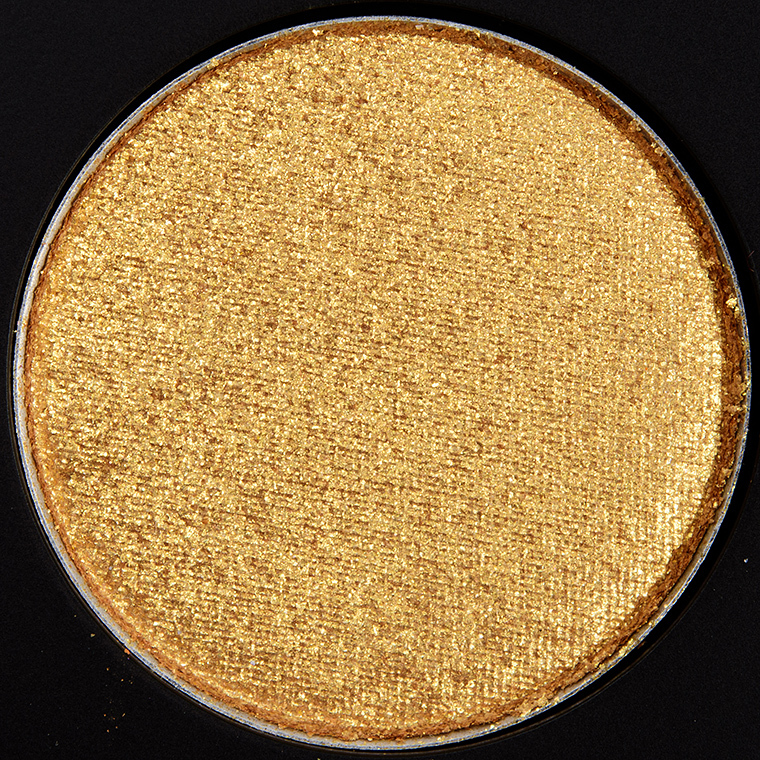 Pat McGrath Bronze Struck (PiP, ) is more shimmery (90% similar). Natasha Denona Varis (PiP, $29.00) is lighter, cooler (90% similar). MAC Chains of Love (LE, $17.00) is lighter (90% similar). 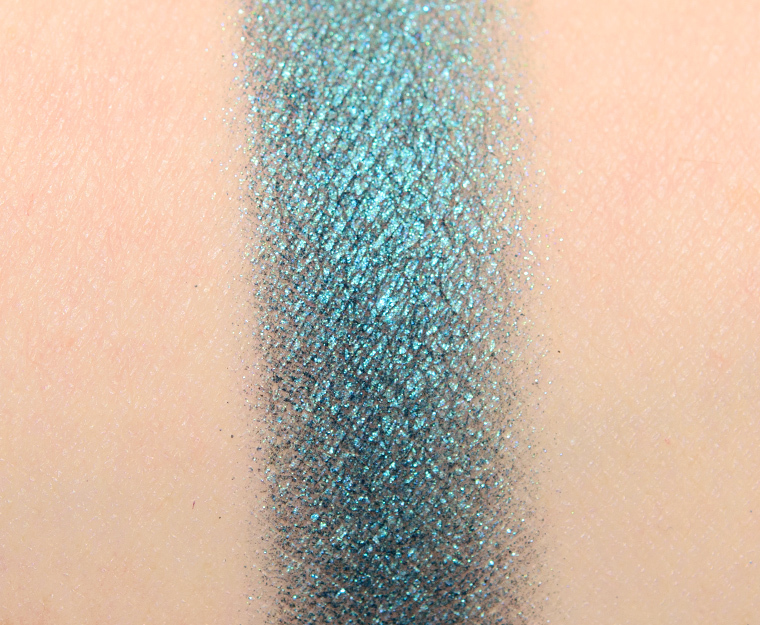 Make Up For Ever ME654 Cauldron (P, $17.00) is less shimmery, cooler (90% similar). Sydney Grace Beaches Matte Shadow ($5.00 for 0.06 oz.) 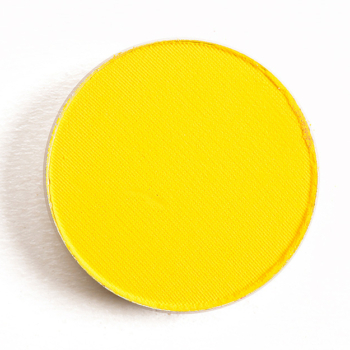 is a soft yellow with strong, warm undertones and a matte finish. It was richly pigmented with a smooth, velvety texture–more substantial, a little “thicker” in a way, so it didn’t immediately sheer out when applied to my bare skin. There was slight powderiness in the pan and a bit of fallout when I used it on my brow bone, so I’d take more care to tap off excess and pat it into place first before sweeping/blending it out overall. This shade lasted well for seven and a half hours on me before I noticed any fading. Anastasia Buttery (LE, $12.00) is warmer (95% similar). NARS Taunt (LE, $19.00) is darker, warmer (90% similar). Guerlain Enjoy (LE, $34.00) is more shimmery (90% similar). Wet ‘n’ Wild A Regular at the Factory #1 (DC, $2.29) is darker (90% similar). MAC Mamastarrr’s Cookie (LE, $17.00) is warmer (90% similar). Make Up For Ever M405 Straw Yellow (P, $17.00) is darker, cooler (90% similar). Milani Naked Truth (PiP, $5.99) is warmer (90% similar). Sephora Buttercup (PiP, ) is cooler (90% similar). Huda Beauty Warm Browns #6 (PiP, ) is darker (90% similar). 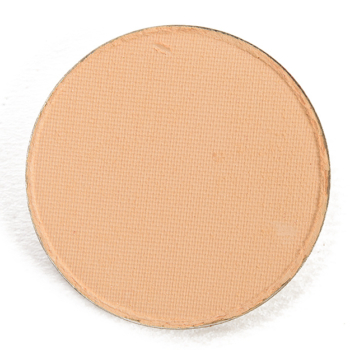 NABLA Cosmetics Canvas (PiP, $8.00) is cooler (90% similar). 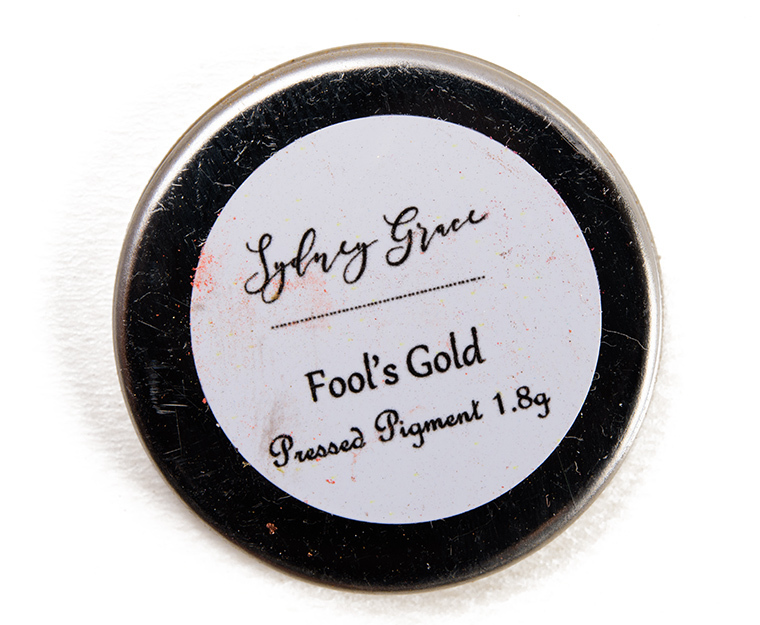 Sydney Grace Fool’s Gold Pressed Pigment Shadow ($6.00 for 0.06 oz.) 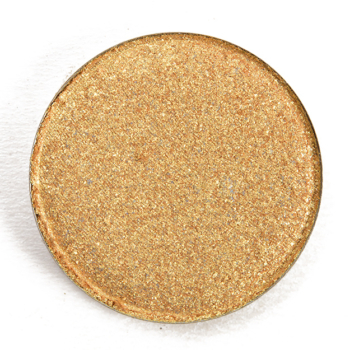 is a richer, medium-dark gold with strong, yellow undertones and a metallic finish. The key about this shade was that it was a deeper, richer gold yet wasn’t very orange-toned (most of them are!) so it might work particularly well for someone who wants a truer gold (yellower). 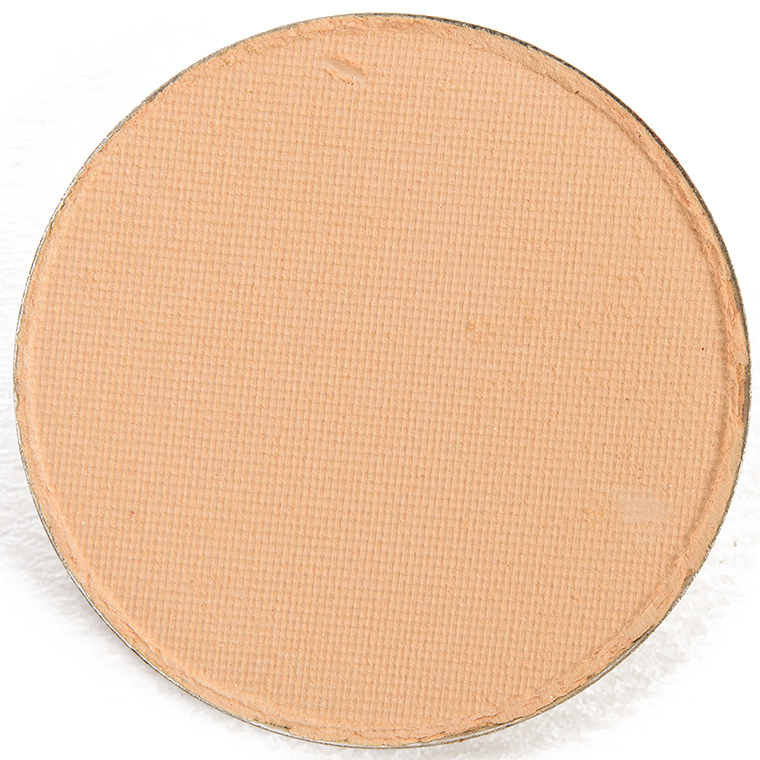 It had opaque color coverage with a smooth, lightly creamy texture that was more softly-pressed in the pan but not to the point where it became powdery or prone to excess in the pan (or fallout during application). It stayed on beautifully for eight and a half hours before fading a bit. Givenchy Palette Ors Audacieux #1 (LE, ) is less shimmery (95% similar). Kat Von D Relic (LE, ) is more shimmery (95% similar). Colour Pop Sixth Sense (LE, $5.00) is warmer (90% similar). 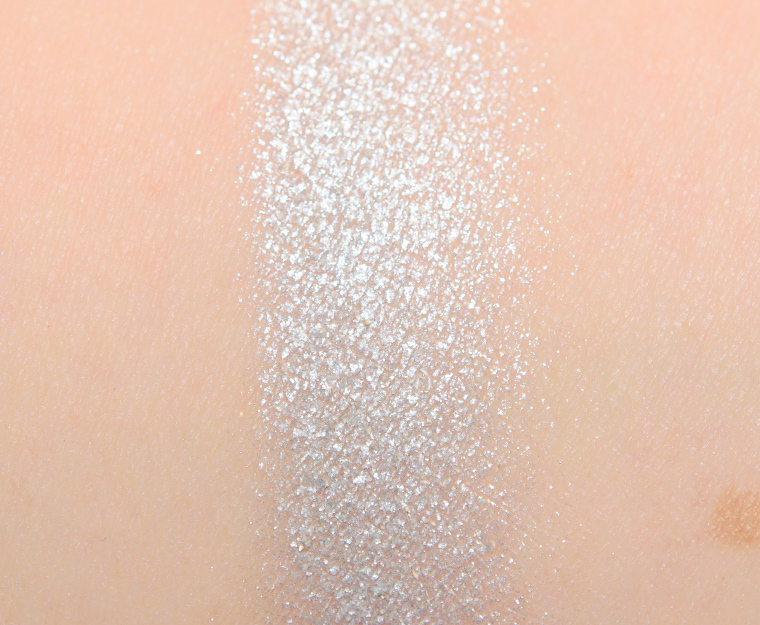 Makeup Geek Fortune Teller (P, $9.99) is more shimmery, lighter (90% similar). Colour Pop Karat Cake (P, $5.00) is brighter (90% similar). Colour Pop Origami (P, $8.00) is more shimmery, lighter, cooler (90% similar). 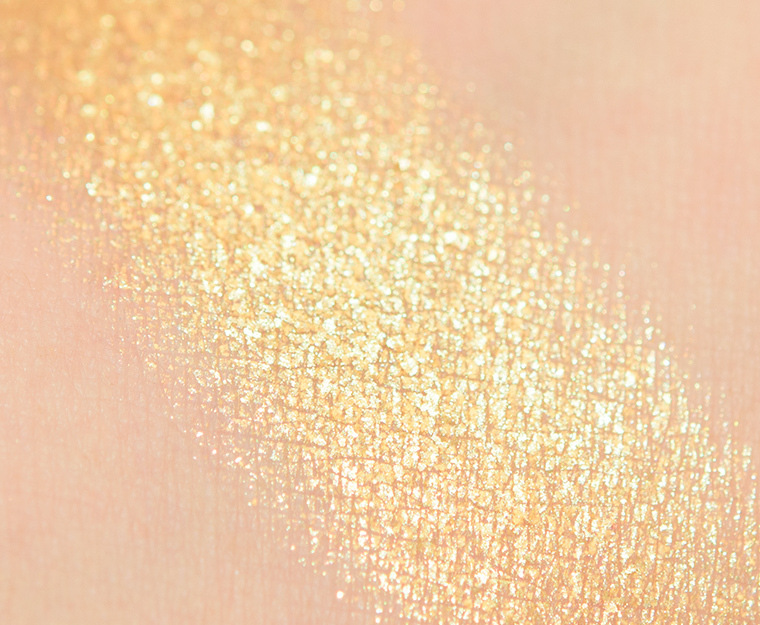 Urban Decay Stay Gold (LE, $19.00) is less shimmery, warmer (90% similar). Natasha Denona Gold (137CP) (LE, ) is more shimmery, lighter (90% similar). 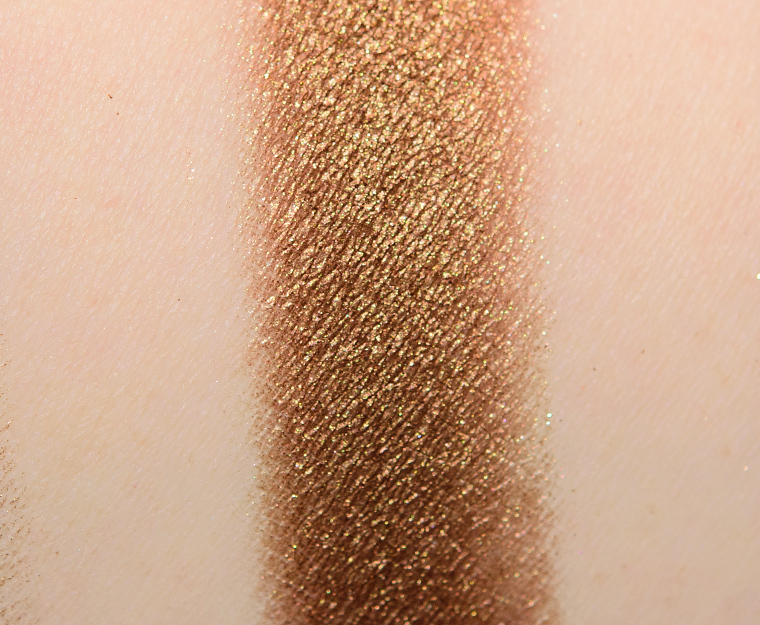 Coloured Raine Superstar (P, $6.99) is more shimmery, lighter (90% similar). 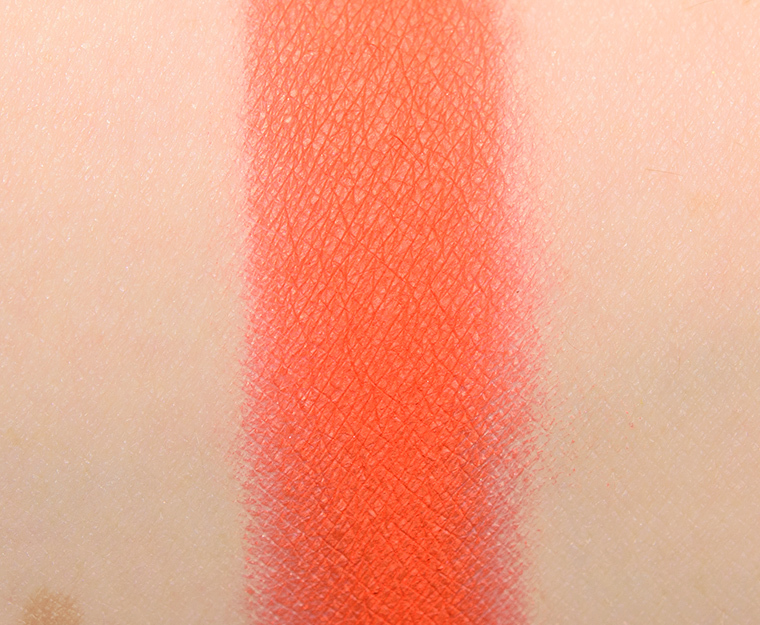 Sleek MakeUP Sunset #5 (PiP, $9.99) is more shimmery, lighter (90% similar). Sydney Grace Drummers Drumming Matte Shadow ($5.00 for 0.06 oz.) 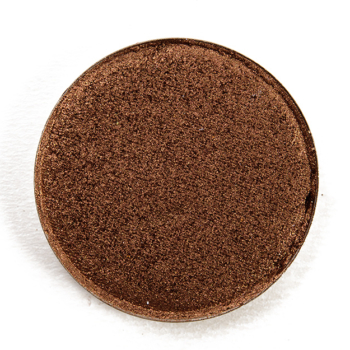 is a medium-dark, reddish-brown with neutral-to-cool undertones and a mostly matte finish. 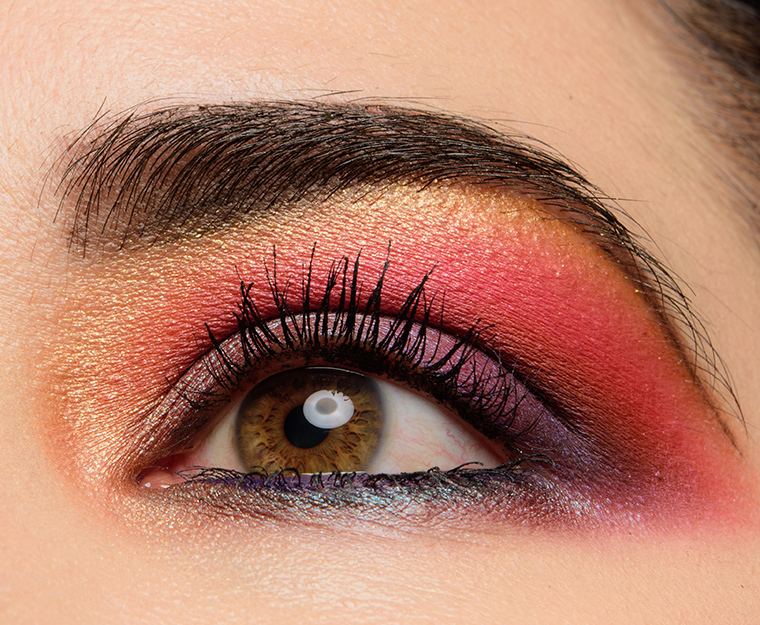 The eyeshadow had nearly opaque pigmentation in a single layer, which built up easily to full coverage with less than half of a layer more. The consistency was smooth to the touch but felt a bit firmer in the press and thinner (though no powderiness!) than other mattes in the brand’s range. It adhered well to my skin and blended out without too much effort but wasn’t as foolproof as other shades I’ve tried. It wore stayed on nicely for eight hours on me before fading. Tarte Ice Cream Cone (LE, ) is darker (95% similar). Zoeva Two Clocks (PiP, ) is darker (95% similar). bareMinerals Boardroom (LE, ) is darker (95% similar). 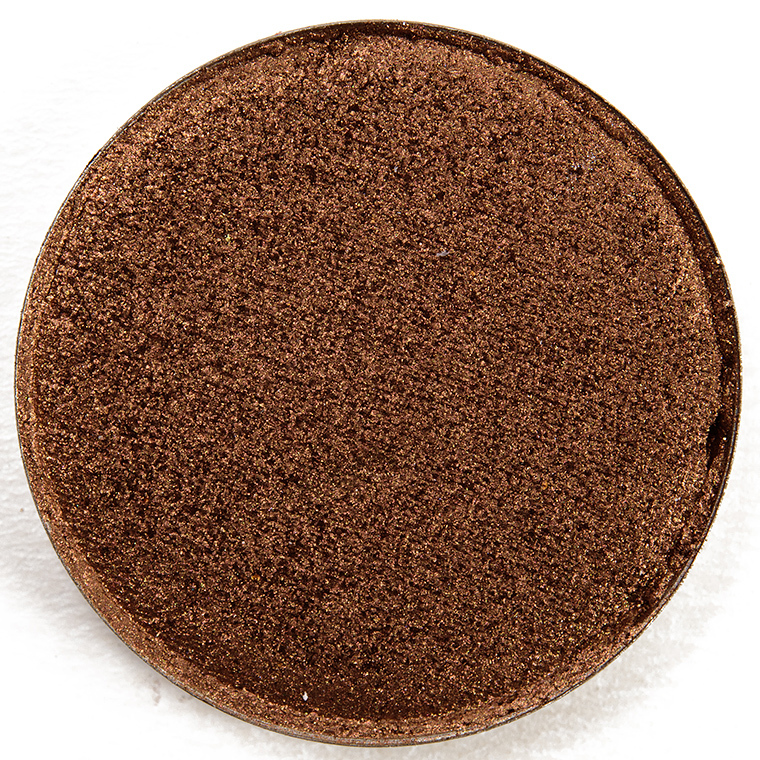 NABLA Cosmetics Adagio (PiP, $8.00) is darker (95% similar). 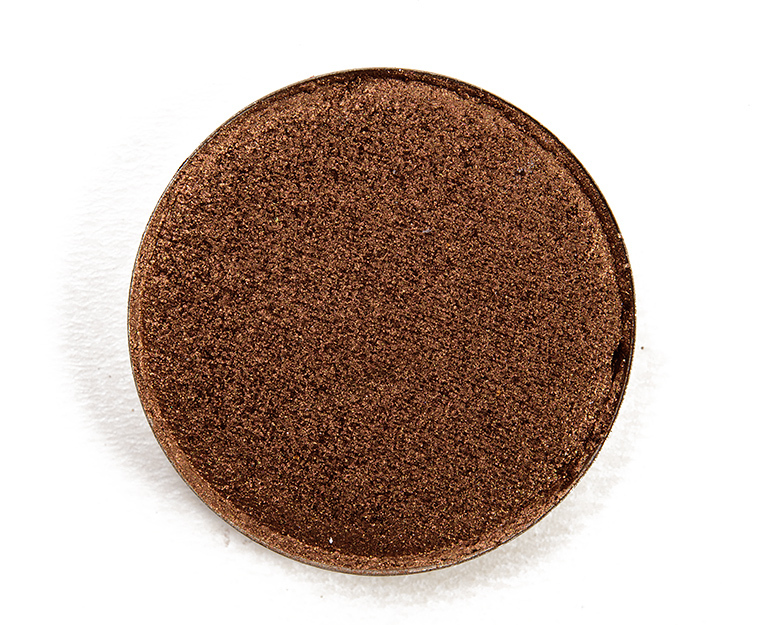 LORAC Espresso (PiP, $19.00) is lighter, warmer (95% similar). Kat Von D Crucifix (LE, ) is darker (95% similar). MAC How You Thrill Me (LE, $17.00) is darker (95% similar). Too Faced Chocolate Dipped (PiP, $16.00) is darker (95% similar). MAC Embark (P, $17.00) is darker, cooler (95% similar). 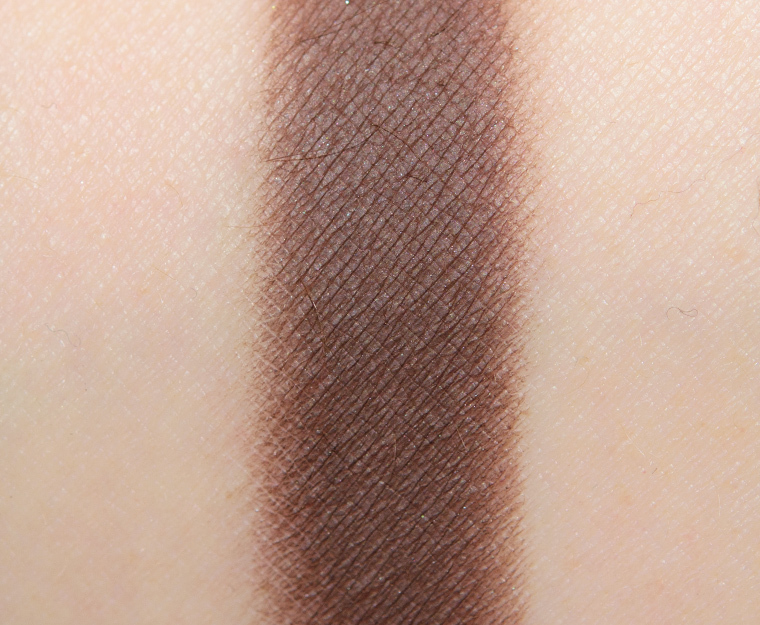 Milani Late Date (PiP, $5.99) is darker, cooler (90% similar). 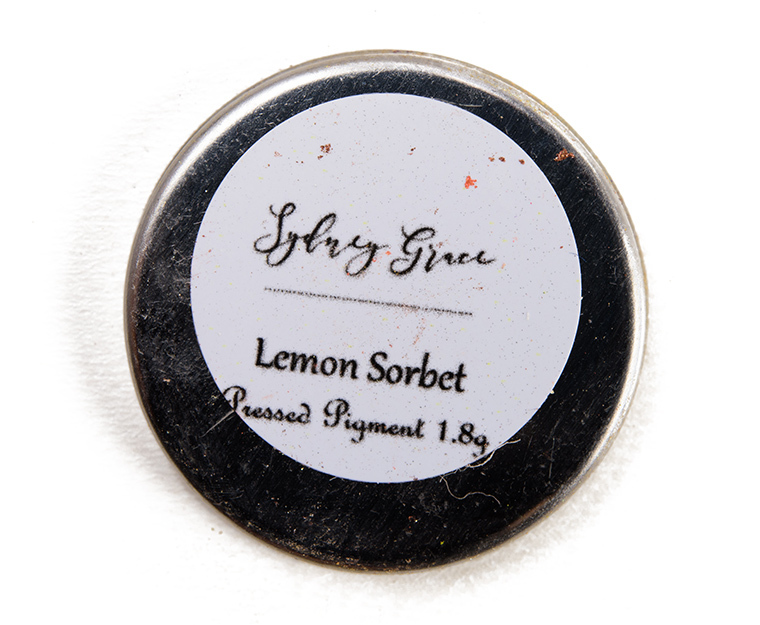 Sydney Grace Lemon Sorbet Pressed Pigment Shadow ($6.00 for 0.06 oz.) 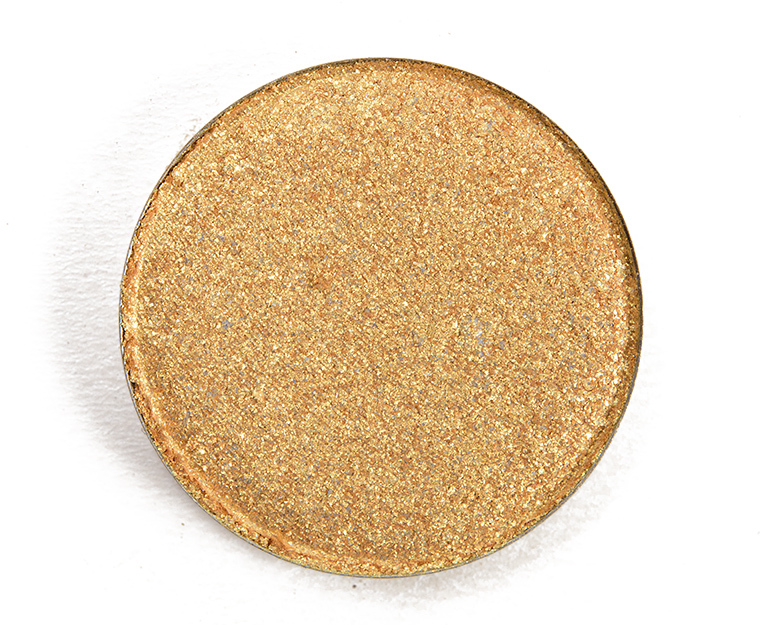 is a medium gold with warm undertones and a chunky, sparkling finish. The consistency was denser and a bit cream-like, but it definitely had a chunkier consistency that made it harder to apply without using fingertips or a wet brush to help smooth and press it onto my skin. Dry, it tended to go on unevenly and had some fallout during application. Once pressed into place, I didn’t get much in the way of fallout during the eight hours it wore for, thankfully. Marc Jacobs Beauty The Siren #4 (LE, ) is less shimmery, darker (95% similar). Chanel Quintessence #5 (LE, ) is more muted (90% similar). LORAC Gilded (LE, $19.00) is less shimmery (90% similar). 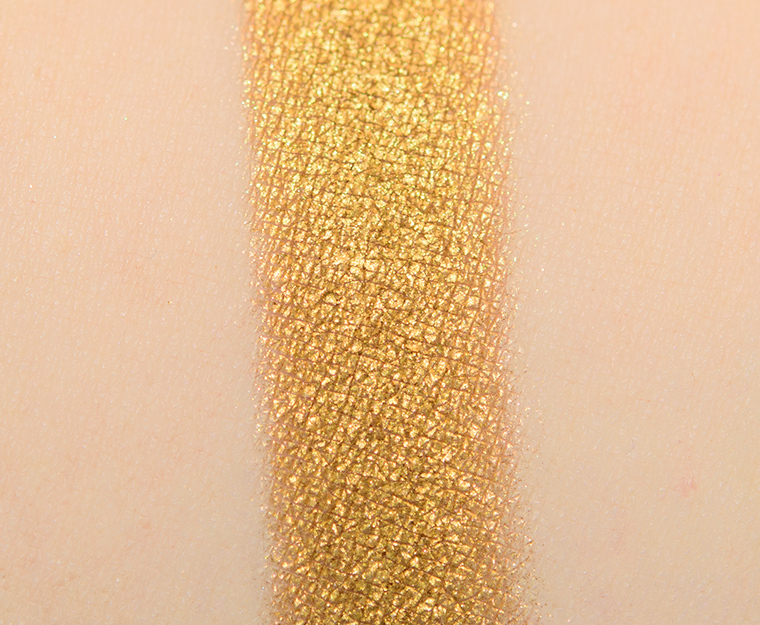 Make Up For Ever D410 Gold Nugget (DC, $21.00) is less shimmery, darker (90% similar). 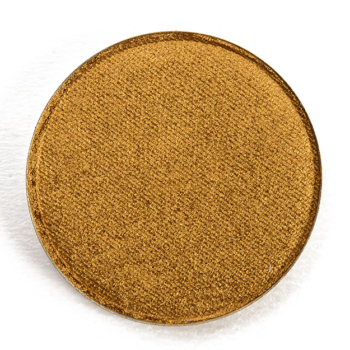 LORAC Gold Leaf (LE, $19.00) is darker (90% similar). MAC If It Ain’t Baroque (LE, $17.00) is darker (90% similar). Makeup Geek Magic Act (P, $9.99) is warmer (90% similar). L’Oreal Eternal Sunshine (P, $7.99) is darker, more muted (90% similar). Anastasia Fairy (PiP, $12.00) is less shimmery, darker (90% similar). Guerlain Petrouchka #2 (LE, ) is less shimmery, warmer (90% similar). Sydney Grace Solomon Matte Shadow ($5.00 for 0.06 oz.) 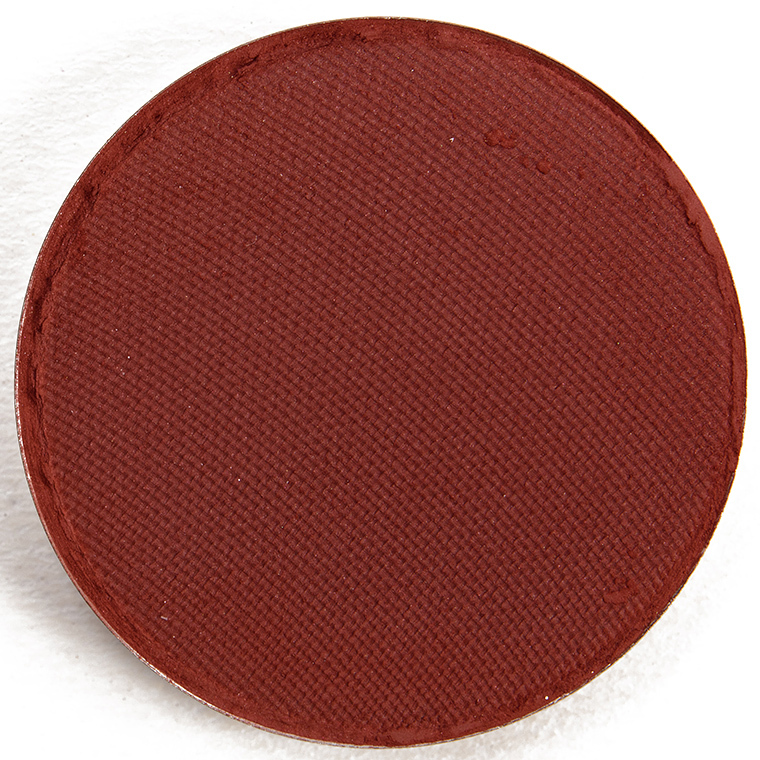 is a rich, reddish-brown with subtle, warm undertones and a matte finish. 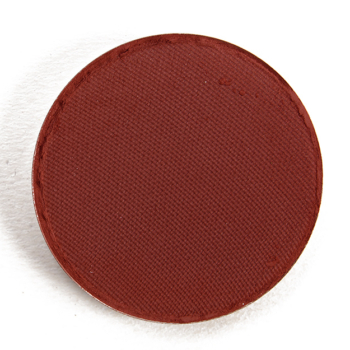 One of the best parts about the brand’s range of eyeshadows is just the breadth of undertones they have in the range; this is a redder brown that doesn’t veer into orange territory. I’d still classify it as a warm-toned neutral, but it could definitely pull rosier paired with cooler shades. The eyeshadow had rich color payoff that applied well to bare skin with a smooth, velvety texture that blended out easily. It lasted well for eight hours on me before I noticed slight fading. Colour Pop Macchiato (LE, $5.00) is warmer (95% similar). 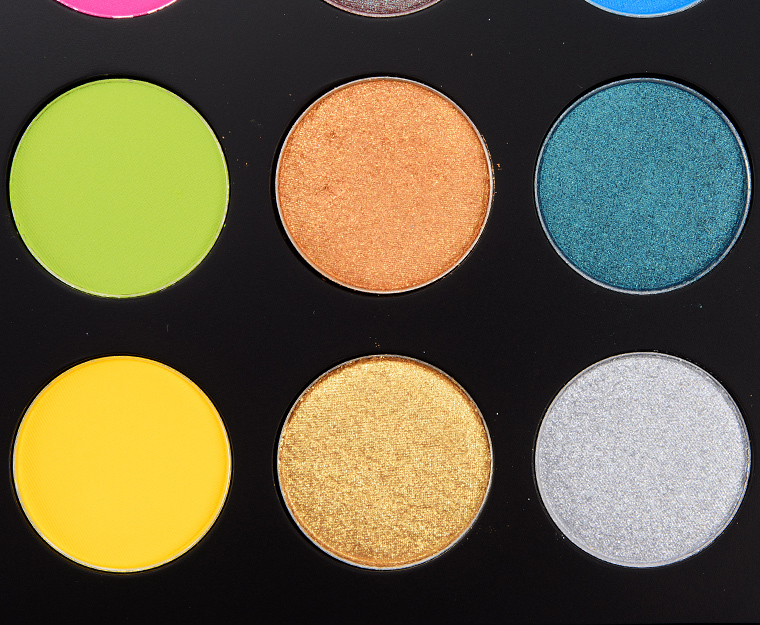 Coloured Raine Raise a Glass (LE, $6.99) is lighter (95% similar). Natasha Denona Soil (213CM) (PiP, ) is darker (95% similar). Morphe Brave (PiP, ) is warmer (95% similar). Huda Beauty Oud (PiP, ) is more shimmery (95% similar). Morphe Jacz (LE, ) is lighter (95% similar). Wet ‘n’ Wild Comfort Zone #1 (PiP, ) is lighter (95% similar). Colour Pop Popular Demand (DC, $5.00) is warmer (95% similar). NARS Whipped (LE, $19.00) is lighter, warmer (90% similar). Colour Pop Feathered (P, $5.00) is more shimmery, lighter (90% similar). 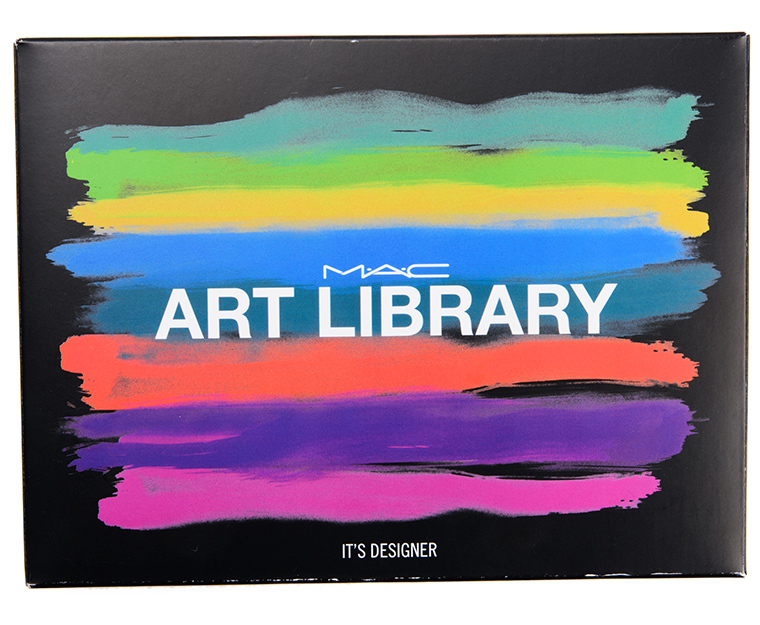 MAC It’s Designer Art Library Palette ($48.00 for 0.60 oz.) 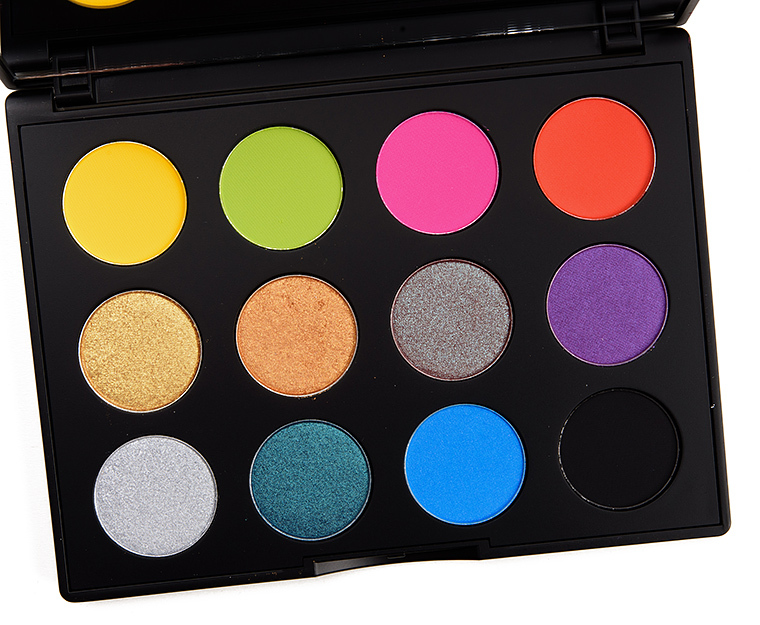 contains a mix of brighter mattes and pops of shimmery color along with a medium black. 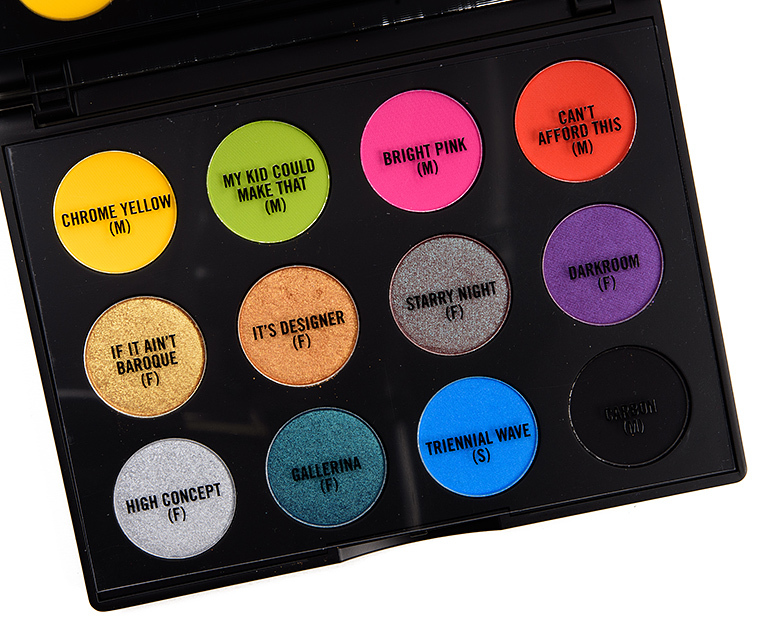 I feel like the palette tells the story of MAC eyeshadows over the last few years. 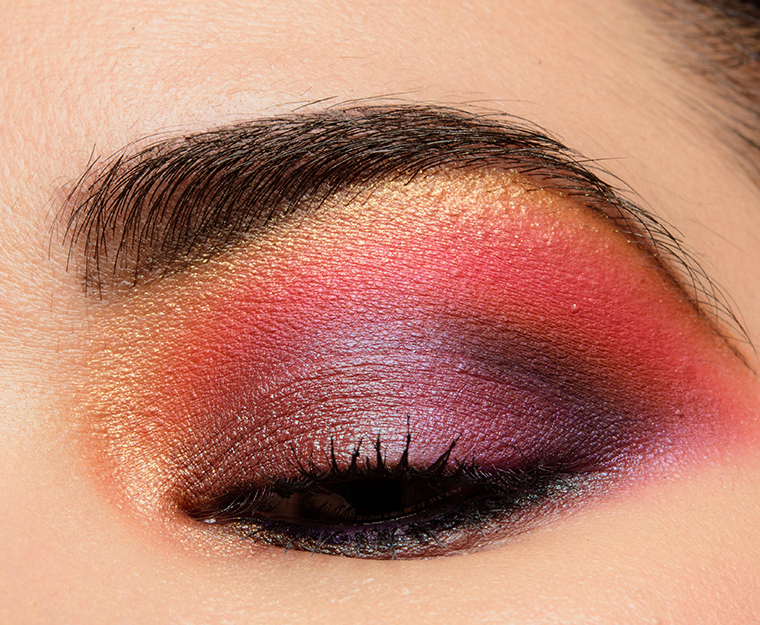 The mattes are firmer, stiffer, and better for building up color but when it comes to deriving really electric color on the lid, they’re not as pigmented as needed to do so–I’d recommend using a tacky primer or white base to help get more oomph out of them (assuming true-to-pan color is the goal). The shimmers were less consistent, but most of them were under-performing due to pigmentation and texture, either being too dry or too emollient. If you’re someone who tends to use dampened brushes with their shimmers, that would help quite a bit and likely give you a better experience working with the palette overall. 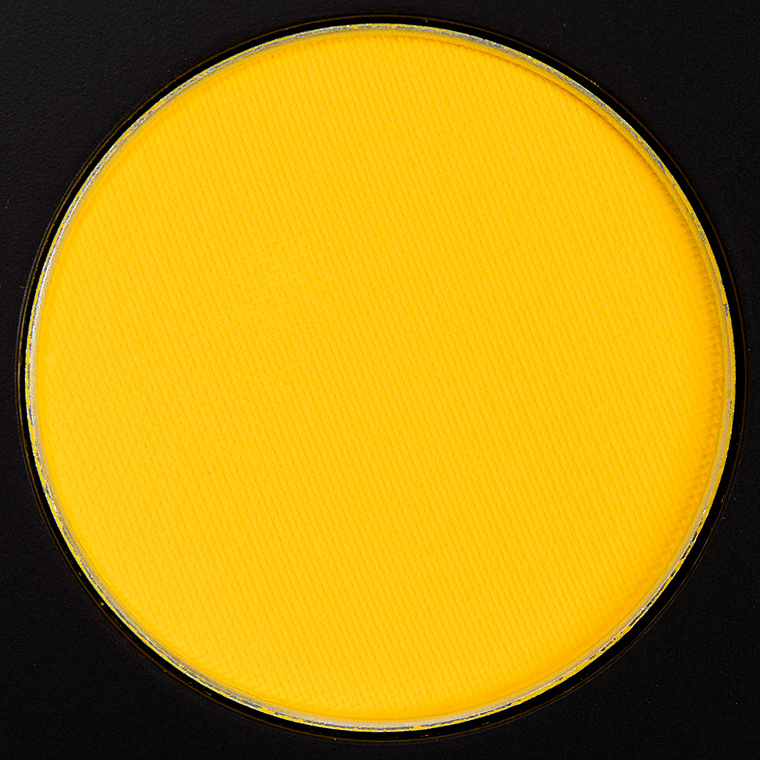 Chrome Yellow is a bright, medium yellow with warm undertones and a matte finish. It had good color coverage in a single layer, but it was the type of yellow that seemed to fade a bit after application and was more prone to sheering out as I worked with it. Over an eyeshadow primer, it was better, and of course, over a white base, it would pop quite a bit. The texture was slightly thin, a little dry, though blendable. It lasted well for seven and a half hours on me before fading a bit. 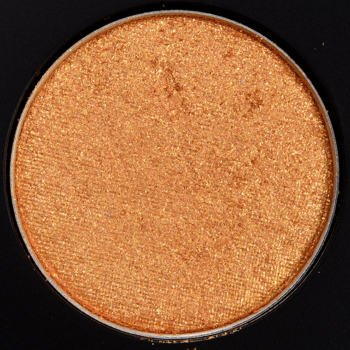 Make Up For Ever Jaune (DC, $20.00) is more shimmery (95% similar). 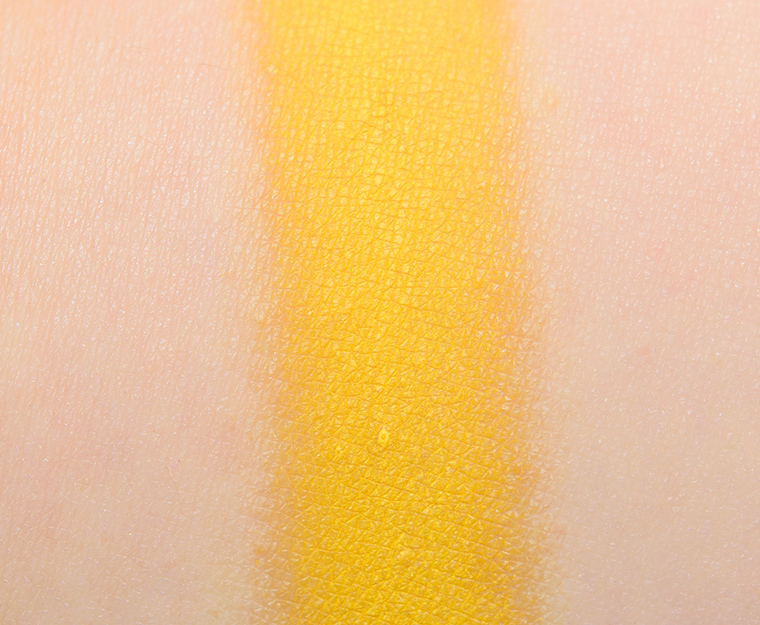 Coloured Raine Lemon Drop (PiP, $6.99) is darker (95% similar). 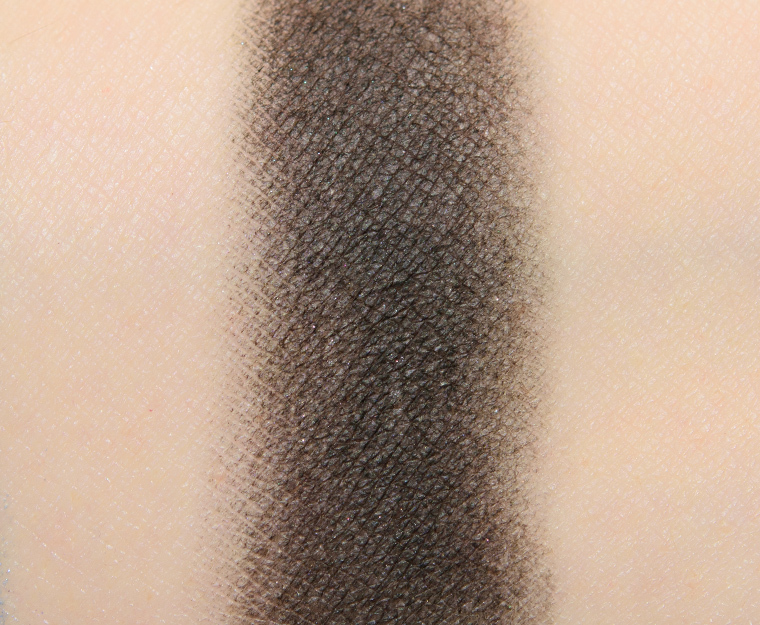 Kat Von D Fran (LE, ) is darker, more muted (95% similar). 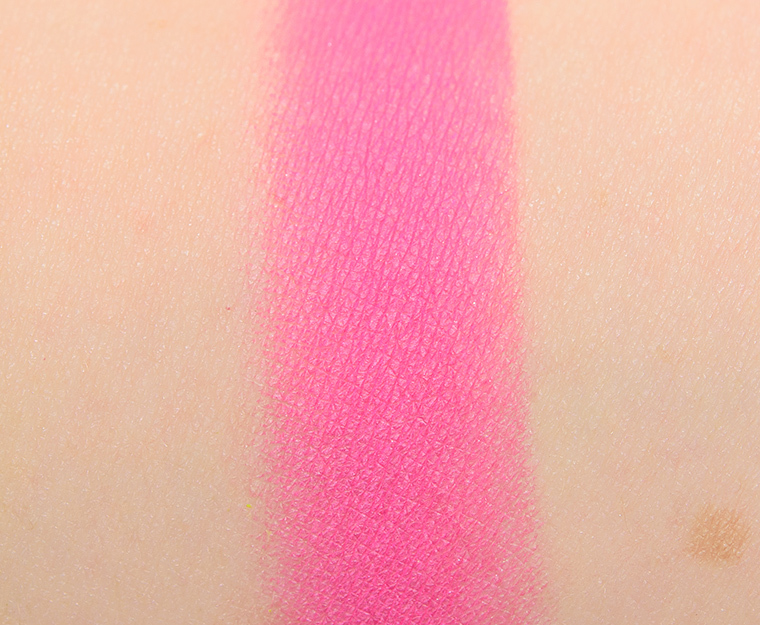 Melt Cosmetics Neon (PiP, ) is more muted (95% similar). Inglot #323 (P, $6.00) is better quality (95% similar). Natasha Denona Sol (134CM) (PiP, ) (95% similar). Colour Pop Mischief (PiP, $5.00) is warmer (95% similar). Anastasia Phresh (LE, $12.00) is more muted (95% similar). Too Faced Good Boy (LE, $16.00) is darker (90% similar). NARS Douro (P, $19.00) is lighter (90% similar). My Kid Could Make That is a bright, lime green with warm, yellow undertones and a matte finish. It had good color coverage, though it needed to be layered (two to three layers) to get to full coverage in practice as it had a drier, thinner consistency that was prone to sheering out and fading when applied to bare skin. It started to show a bit of fading after seven and a half hours of wear. 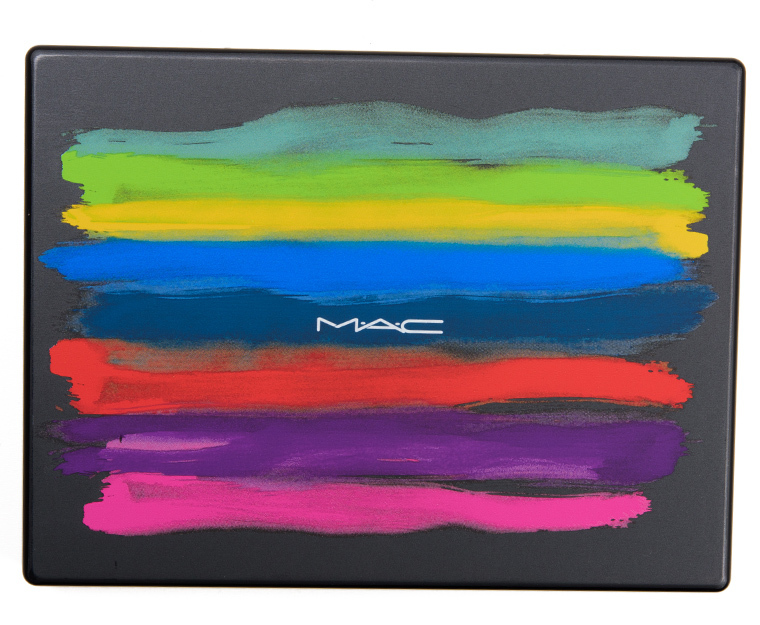 MAC Shock Factor (P, $17.00) is lighter, warmer (90% similar). 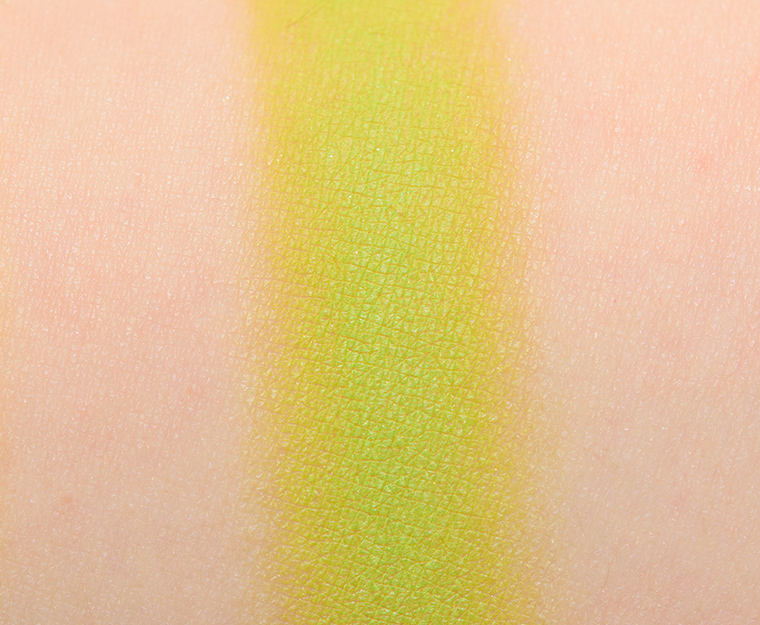 Make Up For Ever S336 Lime (DC, $21.00) is more shimmery (90% similar). Sephora Jeffery (LE, ) is darker, warmer (85% similar). Huda Beauty Sapphire #7 (LE, ) is more shimmery, warmer (85% similar). MAC Bitter (DC, $17.00) is darker, warmer (85% similar). Urban Decay Thrash (PiP, ) is more shimmery, darker, warmer (85% similar). Anastasia Sphere (LE, $12.00) is darker, warmer (80% similar). MAC Sour Lemon (DC, $17.00) is more shimmery, darker, warmer (80% similar). Viseart Bright Editorial #2 (P, ) is darker, warmer (80% similar). MAC Remixology (LE, $17.00) is darker, warmer (80% similar). Bright Pink is a bright, fuchsia pink with cooler, blue undertones and a matte finish. It had good pigmentation but appeared a bit more muted, a little darker when applied to my skin and lost some of that intensity seen in the pan. It had a drier, firmer consistency, which made it easier to apply in layers to build up coverage, but it became more troublesome to blend at full pigment (in one layer). It wore well for eight hours before fading a bit and stained my skin slightly. Can’t Afford This is a fiery orange with warm, reddish undertones and a matte finish. It had rich color coverage with a smooth, blendable texture that wasn’t too soft nor too firmly pressed in the pan. It was thinner than most matte eyeshadow formulations these days but consistent with MAC’s. The eyeshadow applied well to bare skin and blended out with little effort. It stayed on well for eight hours before fading a bit. Colour Pop Euphoric (LE, $5.00) is darker (95% similar). 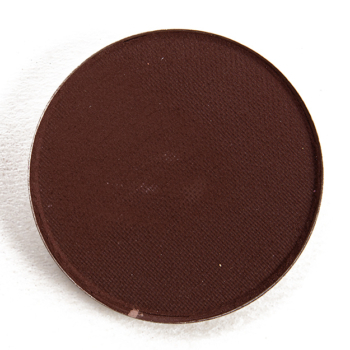 Melt Cosmetics Main Squeeze (PiP, ) is darker (95% similar). 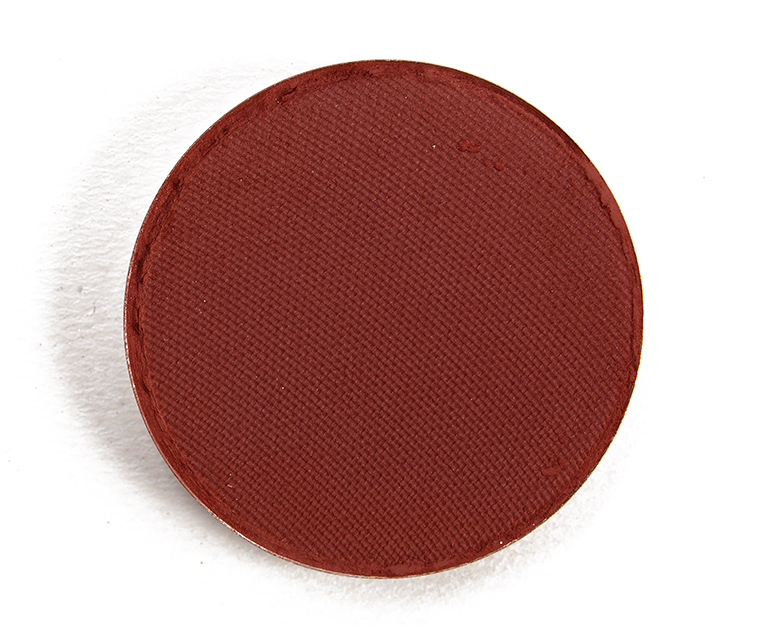 MAC Red Brick (P, $17.00) is more muted (95% similar). 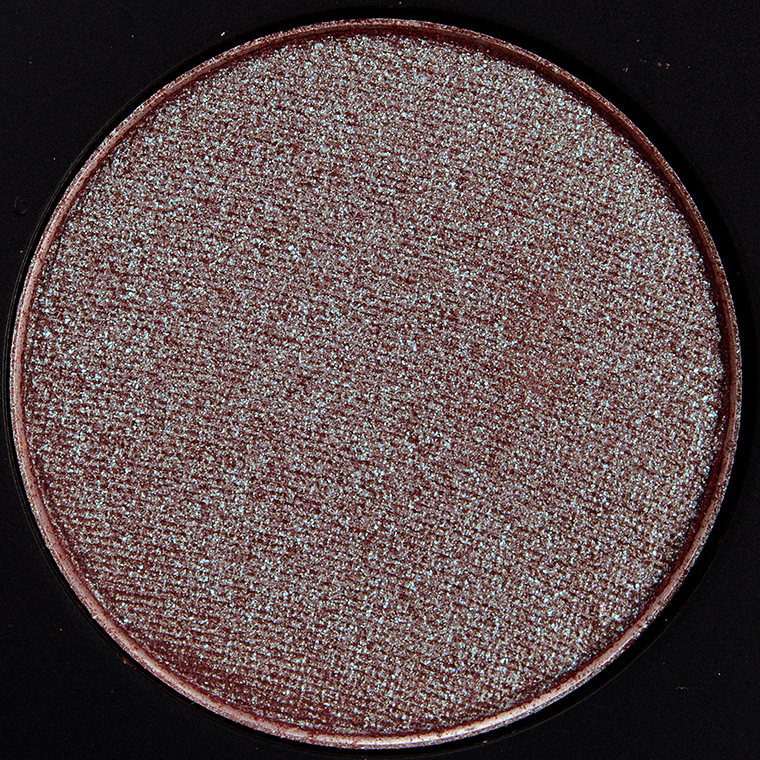 MAC Sabina Sangre (LE, $17.00) is more shimmery, warmer (95% similar). Juvia’s Place Zakiya (LE, ) is darker, warmer (90% similar). Smashbox Wait, What? (P, ) is darker, warmer (90% similar). Makeup Geek Dynamic (P, $9.00) is more shimmery, lighter, warmer (90% similar). 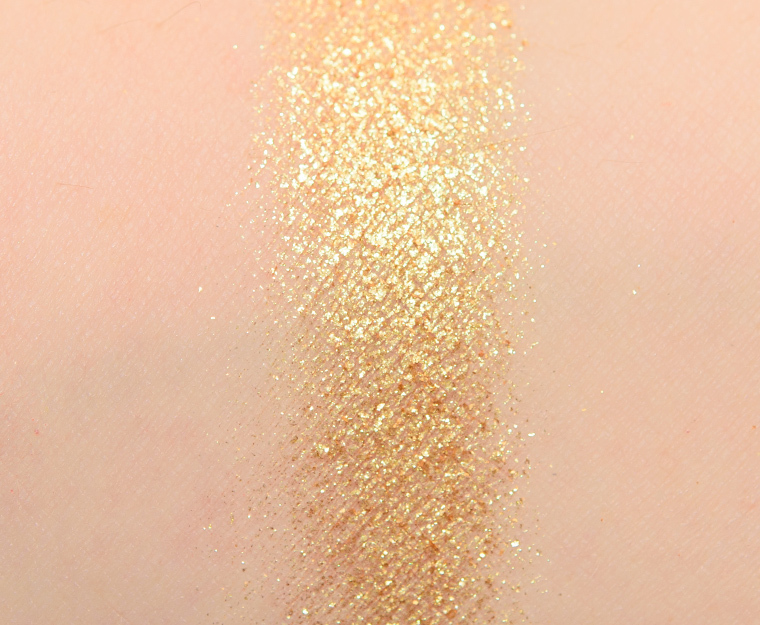 Buxom It Crowd (P, $12.00) is more shimmery, darker, warmer (90% similar). Makeup Geek Poppy (P, $6.00) is more shimmery, lighter, warmer (90% similar). MAC Orange (DC, $17.00) is brighter, warmer (90% similar). If It Ain’t Baroque is a medium-dark gold with warm undertones and a sparkling, metallic finish. The texture felt drier and chunkier, as it didn’t seem to have as much creaminess or slip to help keep all the shimmers and sparkly bits contained. It had semi-opaque, buildable pigmentation that applied best by pressing and patting onto my skin, then blending the edges. There was some fallout during application, which I was able to mitigate if I used it with a dampened brush. It lasted for just over seven and a half hours on me before I noticed some fading. 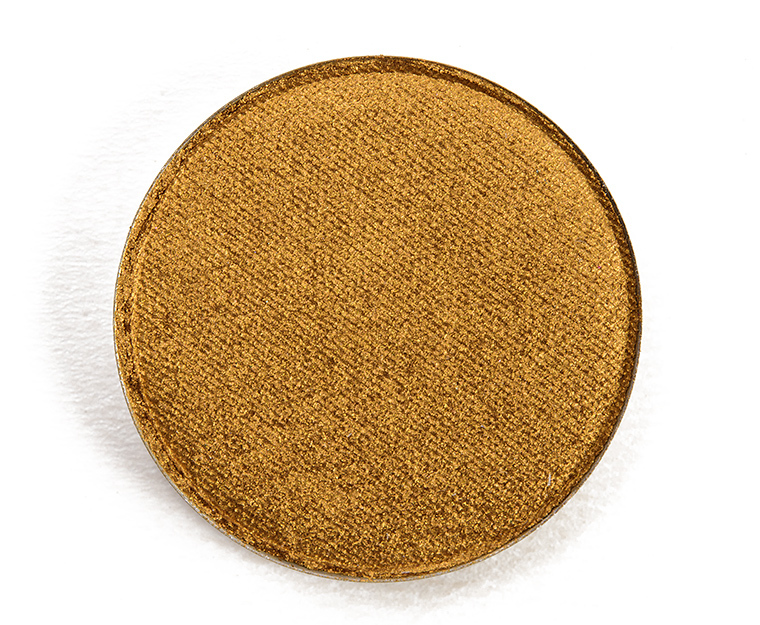 LORAC Gold Leaf (LE, $19.00) is darker (95% similar). 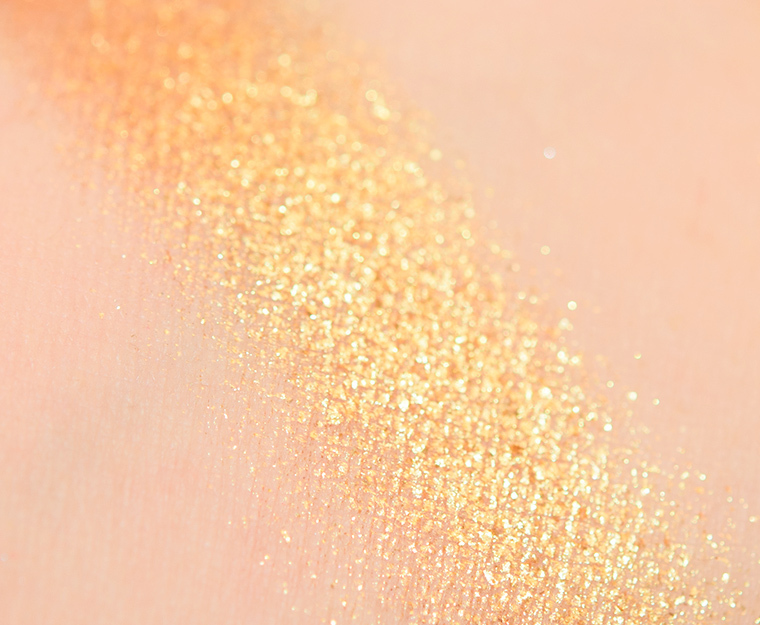 Make Up For Ever D410 Gold Nugget (DC, $21.00) is less shimmery (95% similar). Chanel Rêve d’Orient #3 (LE, ) is darker (95% similar). Chanel Quintessence #5 (LE, ) is less shimmery (95% similar). Colour Pop Rule Breaker (PiP, $5.00) is less shimmery (95% similar). 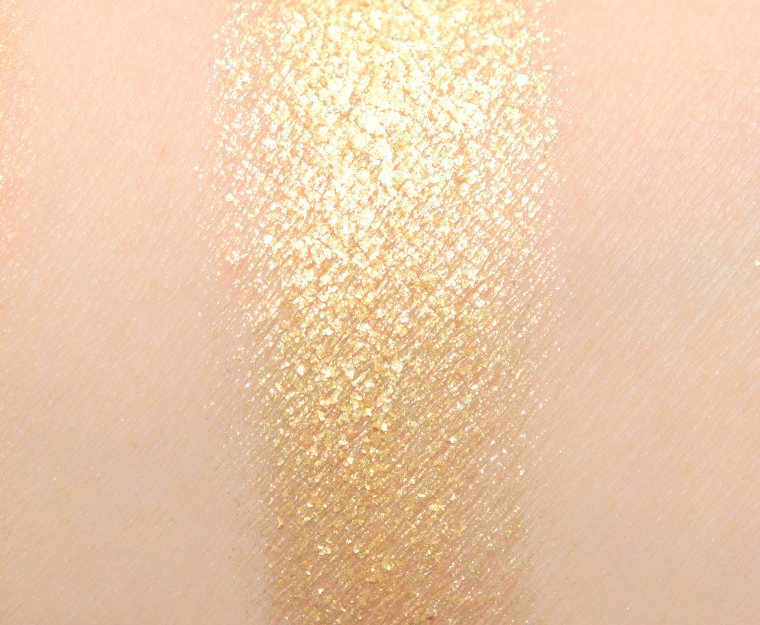 Marc Jacobs Beauty The Siren #4 (LE, ) is less shimmery (95% similar). 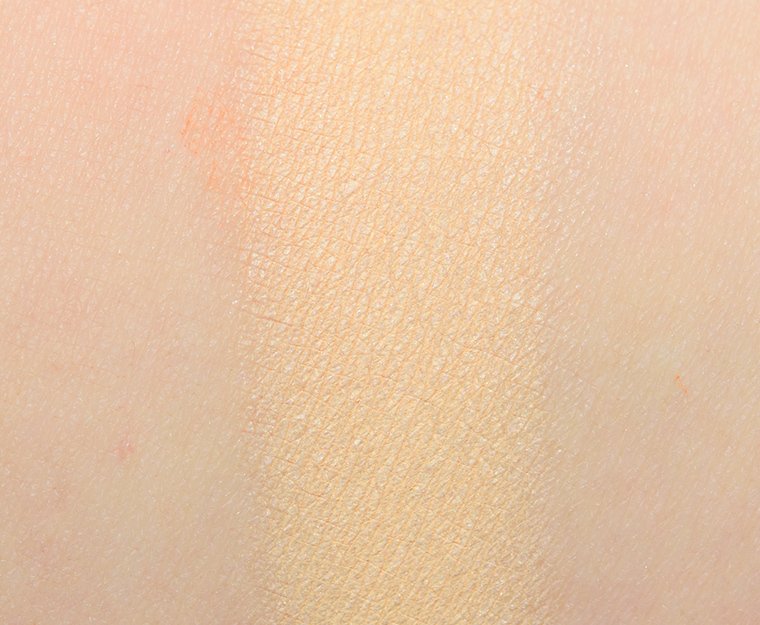 Anastasia Sunny (LE, $12.00) is darker, warmer (90% similar). MAC Spun from Gold (LE, $18.00) is lighter (90% similar). Natasha Denona Sundazed (128K) (PiP, ) is warmer (90% similar). Coloured Raine St. Germain Cocktail (P, $6.99) is less shimmery, warmer (90% similar). 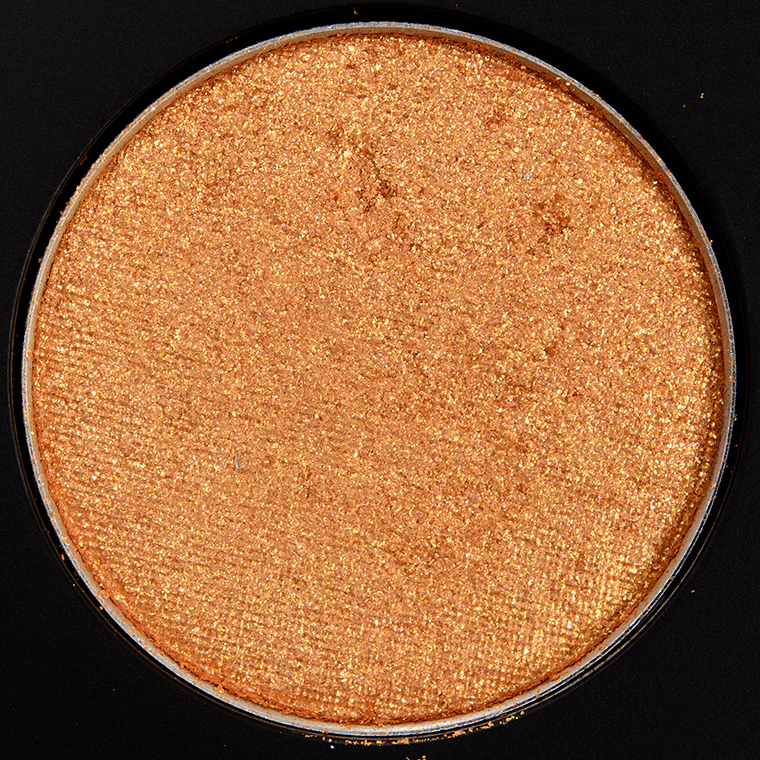 It’s Designer is a light-medium orange with warm, golden shimmer and larger sparkle. The texture was drier and felt more loosely-pressed in the pan, which gave it a powderiness and a tendency to having fallout during application. It had semi-opaque pigmentation that I could pack on and get to opaque coverage if desired, but it’s the type of texture that I would use with a dampened brush to minimize fallout and improve adhesion and coverage. It wore nicely for seven and a half hours before there was visible fading. MAC Amberluxe #4 (PiP, ) is darker (95% similar). 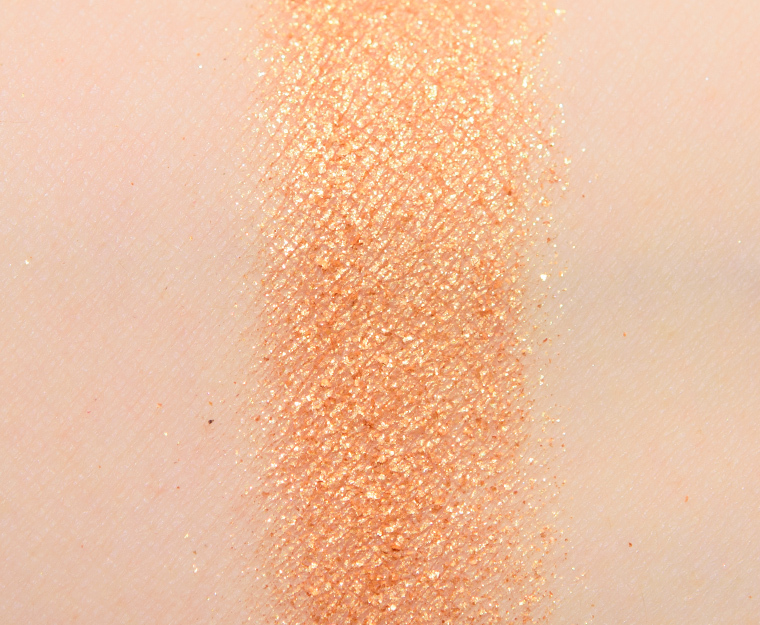 MAC Gingerluxe #2 (LE, ) is less shimmery, darker (95% similar). Natasha Denona Mandarine (123DC) (PiP, $29.00) is brighter (90% similar). Gucci Beauty Azalea (Left) (P, ) is less shimmery, lighter (90% similar). Too Faced Honey Pot (PiP, $16.00) is less shimmery (90% similar). MAC Warm Wash #3 (LE, ) is less shimmery, darker (90% similar). 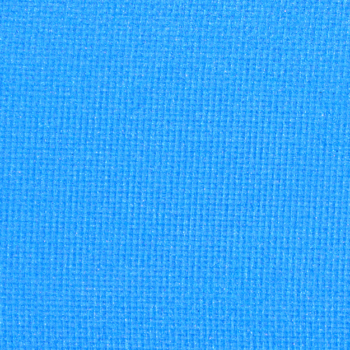 Colour Pop Two Birds (P, $5.00) is darker (90% similar). Gucci Beauty Autumn Fire #1 (P, ) is cooler (90% similar). Colour Pop TF (LE, $5.00) is darker (90% similar). 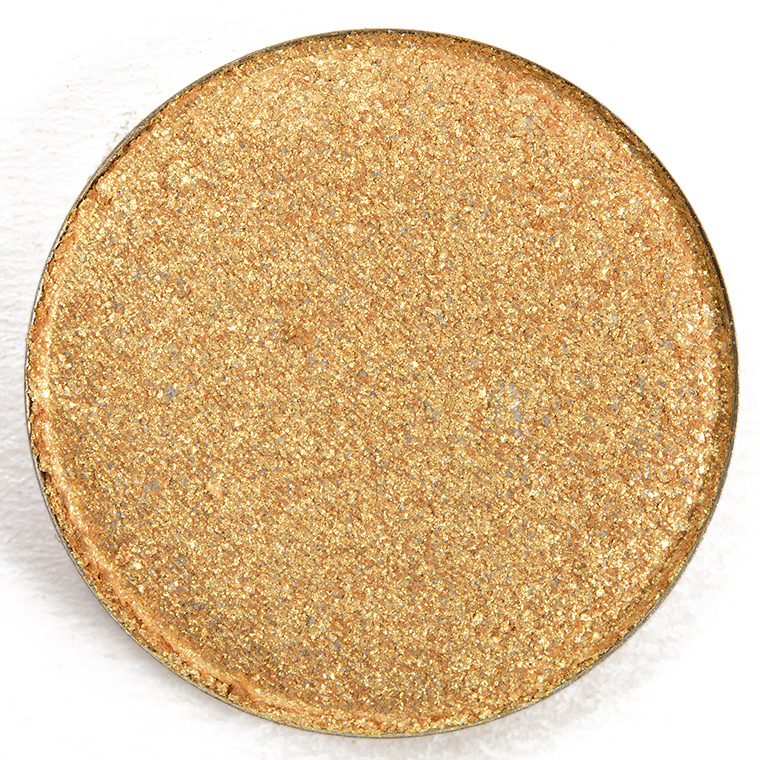 MAC Golden Hours #2 (LE, $21.00) is less shimmery, lighter (90% similar). 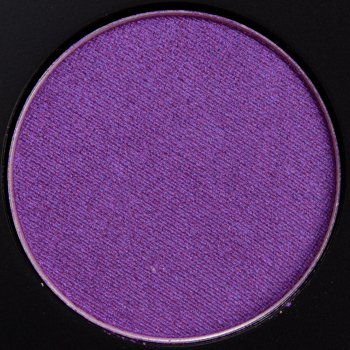 Starry Night is a reddened-plum base with blue-to-violet shifting shimmer. The consistency was incredibly creamy and smooth; it adhered beautifully to bare skin and blended out easily along the edges. It had opaque color payoff that stayed on well for eight hours before it started to crease faintly. Urban Decay Solstice (P, $20.00) is more shimmery (95% similar). 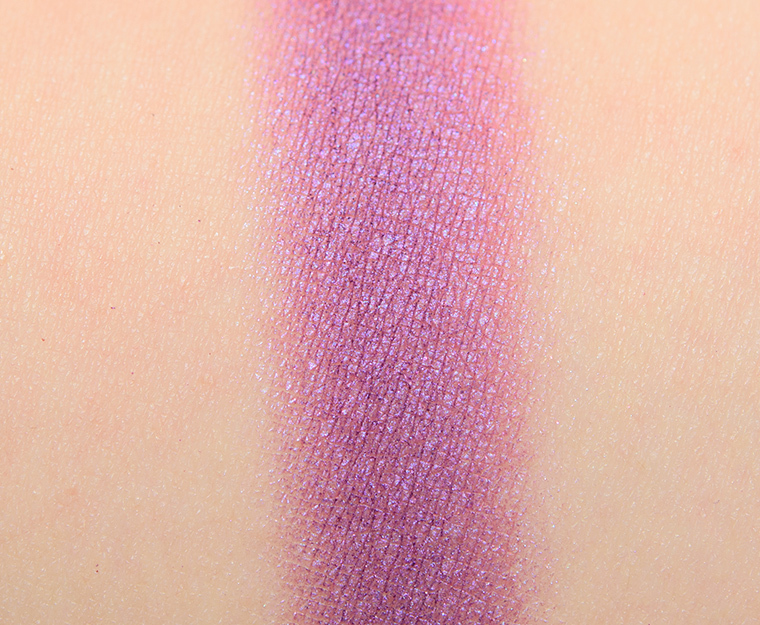 Urban Decay Fortune-Teller (LE, $19.00) is more shimmery, cooler (95% similar). MAC Boom Boom Room (LE, $18.00) is more shimmery (95% similar). Colour Pop Lucid (LE, $5.00) is more shimmery, darker, cooler (90% similar). MAC Humoresque (LE, $18.00) is more shimmery, lighter (90% similar). 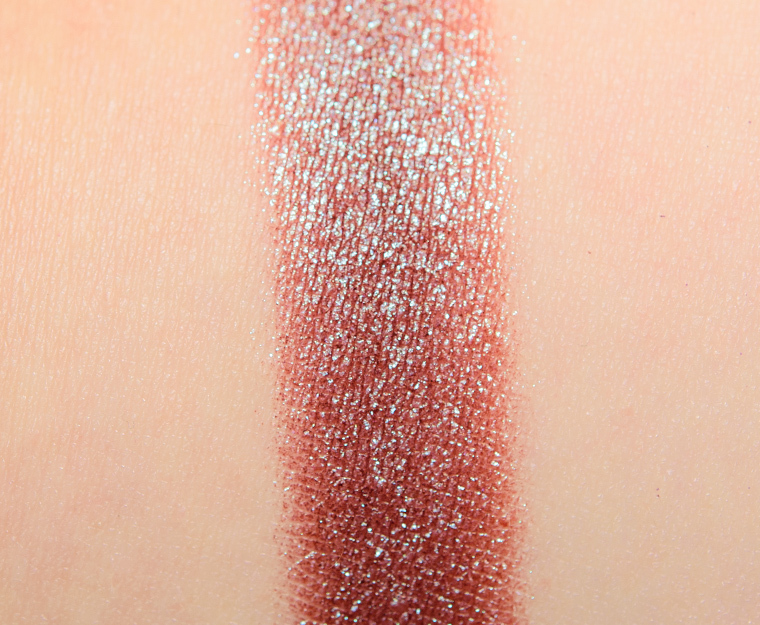 Makeup Geek Insomnia (P, $12.00) is more shimmery, darker, cooler (90% similar). Viseart Grande Pro (Vol. 2) #24 (LE, ) is less shimmery, darker, cooler (90% similar). Too Faced Artist Pass (LE, $16.00) is less shimmery, darker, cooler (90% similar). Too Faced Best Friends (LE, $16.00) is darker, cooler (90% similar). 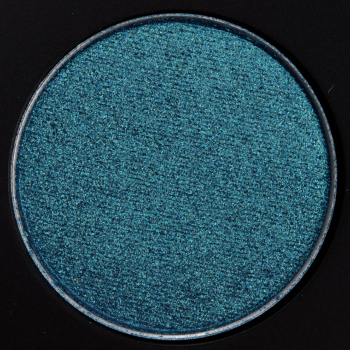 Natasha Denona Calypso Blue (05M) (P, $29.00) is more shimmery, darker, warmer (90% similar). Darkroom is a light-medium purple with subtle, warm undertones and a satin finish. The texture was rather emollient and had more slip, which yielded weaker pigmentation that didn’t apply as evenly as preferred. I’d recommend using this with a dampened brush or fingertip to get smoother, more even and opaque coverage with less effort. It lasted nicely for seven hours on me before I noticed signs of fading. 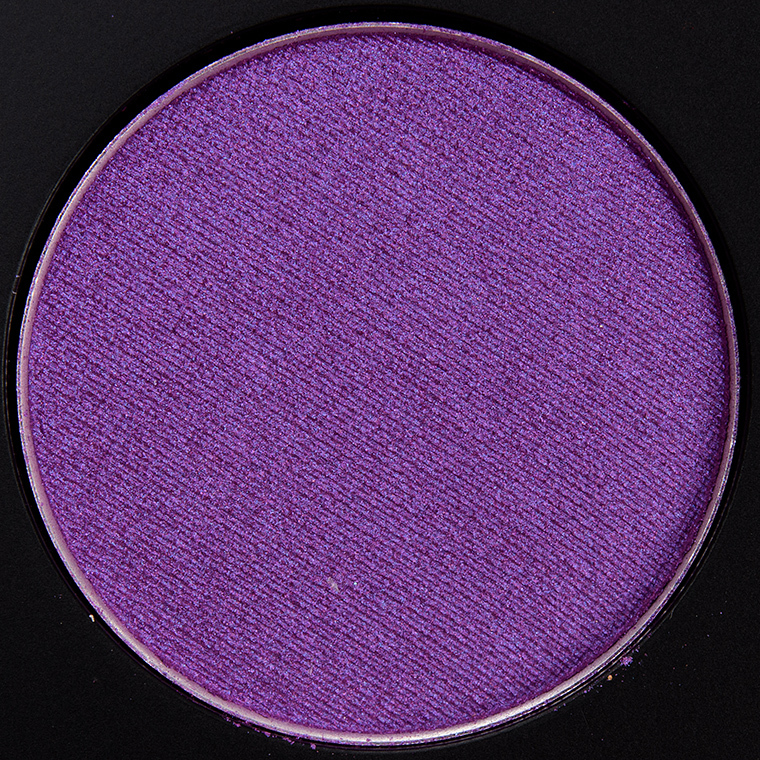 MAC Violet Impact (LE, $17.00) is more shimmery, darker, warmer (95% similar). NARS Sultan (P, $19.00) is less shimmery, lighter (90% similar). Urban Decay Rogue (LE, $19.00) is more shimmery, darker, warmer (90% similar). MAC X-Punk (PiP, ) is darker (90% similar). Colour Pop Try Me (P, $5.00) is less shimmery, darker (90% similar). LORAC Meditation (LE, $19.00) is more shimmery, darker, warmer (90% similar). 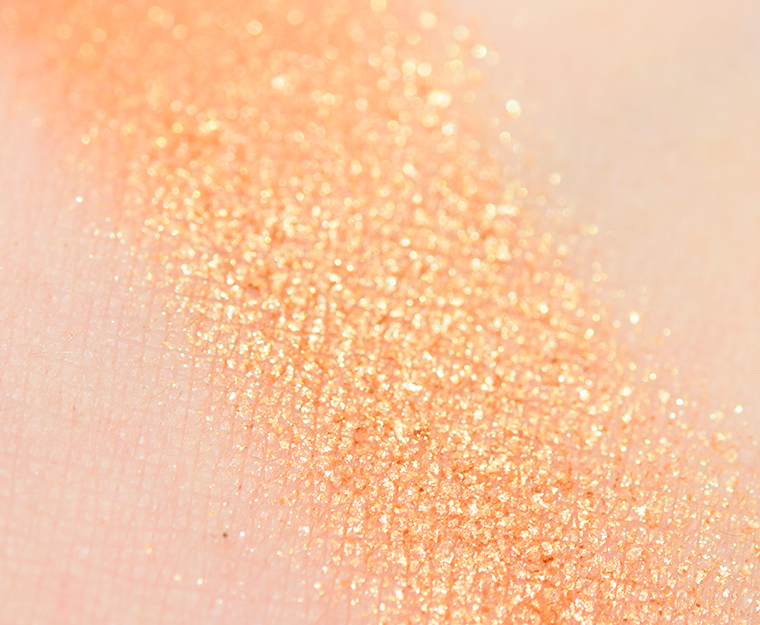 Melt Cosmetics Promiscuous (PiP, ) is more shimmery, darker, warmer (85% similar). MAC Crème de Violet (DC, $17.00) is more shimmery, darker, warmer (85% similar). 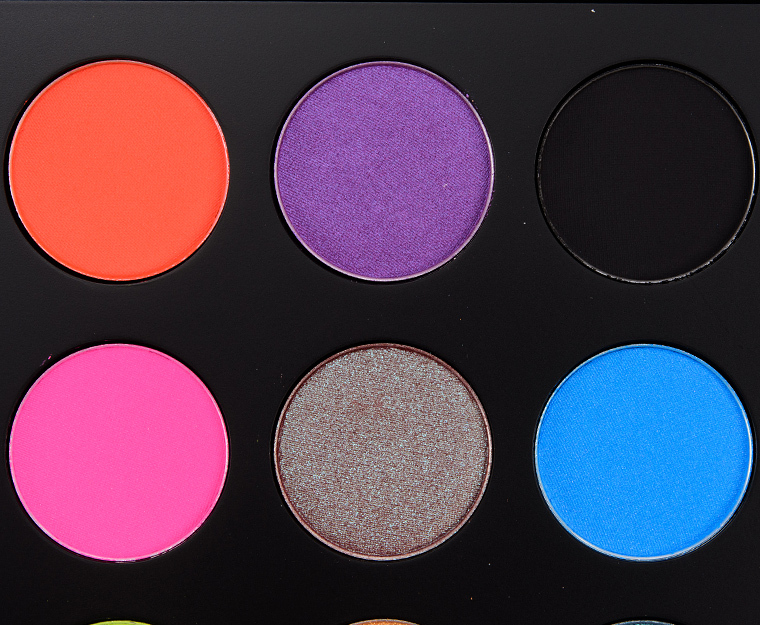 Colour Pop On the Rise (DC, $5.00) is more shimmery, darker, warmer (85% similar). Tom Ford Beauty Daydream #2 (PiP, ) is more shimmery, lighter, cooler (85% similar). High Concept is a pale silver with subtle, cool undertones and a frosted finish. The texture was soft, more loosely-pressed in the pan, and a little drier, so there was fallout during application as I worked with this shade on my lid. It had semi-opaque, buildable pigmentation, but between the pigmentation and texture, it was a shade I’d recommend using with a damp brush or over a lightly tacky primer. It wore well for seven and a half hours on me before I noticed slight fading. 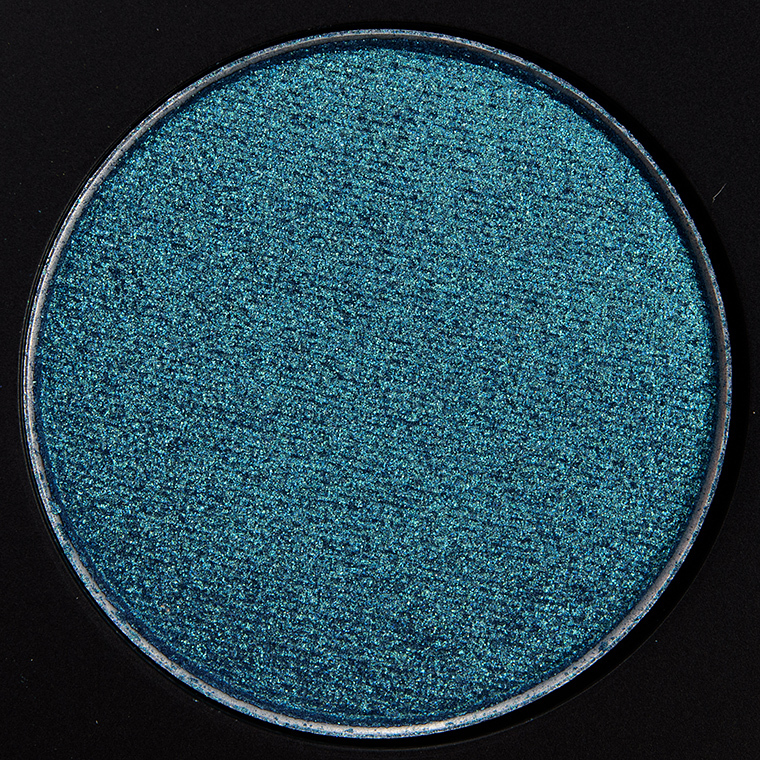 Make Up For Ever ME202 Iceberg Blue (DC, $21.00) is more shimmery, cooler (95% similar). NARS Flowers 3 #1 (DC, $25.00) is less shimmery (95% similar). BH Cosmetics Foil Eyes 2 #16 (PiP, ) is less shimmery (95% similar). Tom Ford Beauty Ice Queen #2 (PiP, ) is more shimmery, cooler (95% similar). MAC Platinum Shadow (LE, $17.00) is less shimmery, warmer (90% similar). Cle de Peau Pewter Veil #4 (LE, ) is more shimmery, brighter (90% similar). Viseart Sterling (PiP, ) is warmer (90% similar). Make Up For Ever D118 Platinum (DC, $21.00) is less shimmery, darker, cooler (90% similar). 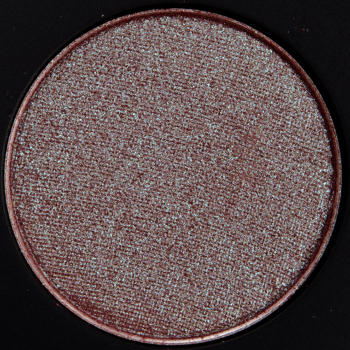 Juvia’s Place Iman (P, ) is less shimmery, cooler (90% similar). MAC Treasure Me (LE, $20.00) is less shimmery, cooler (90% similar). Gallerina is a muted, medium-dark blue-leaning teal with cool undertones and a frosted, slightly metallic finish. The texture was lightly creamy with some slip, which helped it adhere better without primer, but it didn’t go on as evenly as I would have liked. I had to work it in and buff out the powder to get even, opaque coverage. It stayed well for eight hours on me before I noticed faint fading. 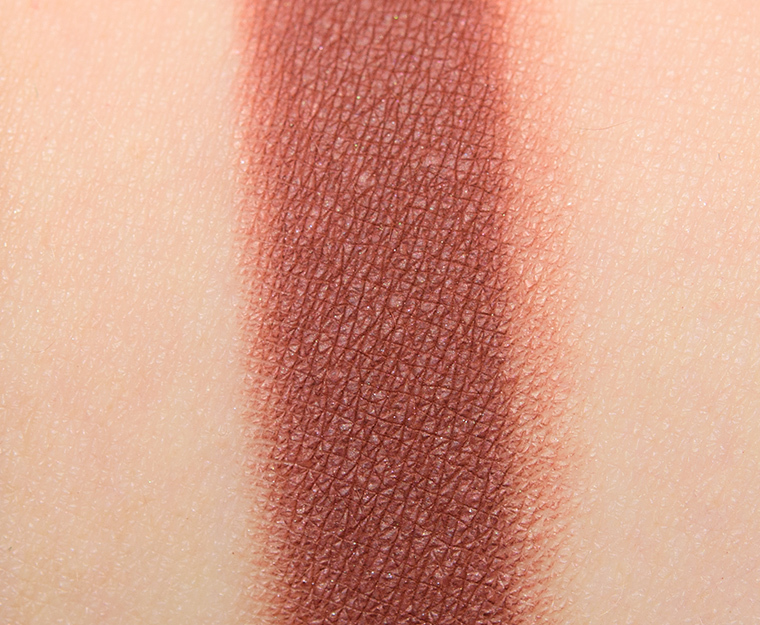 Makeup Geek Autumn Breeze (P, $6.00) is warmer (90% similar). 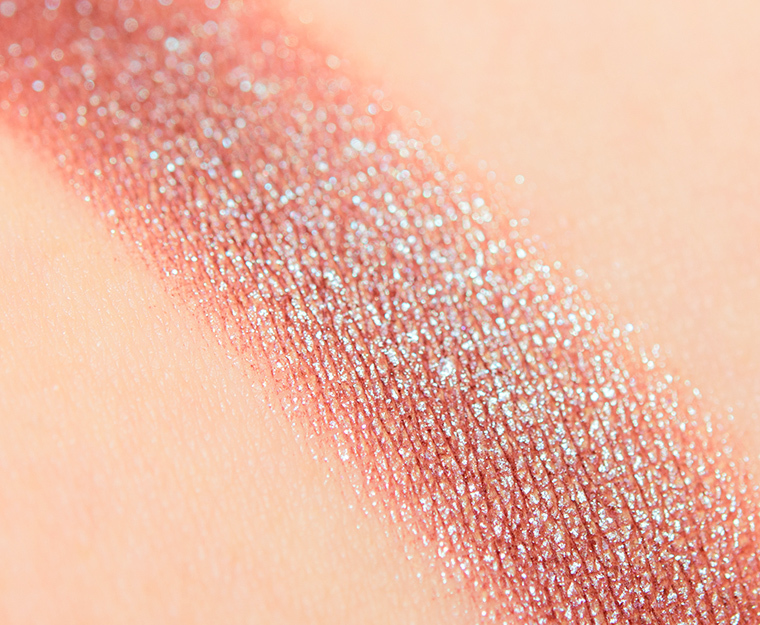 Viseart Boheme Dream #10 (LE, ) is more shimmery, darker, warmer (90% similar). Too Faced Dusk Teal Dawn (LE, $16.00) is more shimmery, lighter, cooler (90% similar). Chanel Affresco #4 (LE, ) is lighter, warmer (90% similar). Natasha Denona Deep Teal (19M) (PiP, $29.00) is warmer (90% similar). Urban Decay Junkie (LE, $19.00) is more shimmery, warmer (90% similar). NYX Savage (P, $6.00) is more shimmery, lighter, cooler (90% similar). Marc Jacobs Beauty The Night Owl #5 (PiP, ) is less shimmery, warmer (90% similar). Tom Ford Beauty Azure Sun (Cream Color) (LE, $45.00) is less shimmery, warmer (90% similar). Urban Decay Fringe (DC, $19.00) is more shimmery, darker, cooler (90% similar). Triennial Wave is a brighter, medium blue with cool undertones and a semi-matte finish. There were barely-there shimmers strewn throughout that helped make it more blendable but didn’t visibly change its finish from looking matte. The eyeshadow had a soft, powdery consistency, which made it more prone to sheering out (though blendable!) and harder to build up without a primer or tacky base under it. It had some fallout during application as well from trying to built it from medium coverage to opaque coverage. It lasted nicely for seven and a half hours on me before I noticed signs of wear. Viseart Bright Editorial #8 (P, ) is less shimmery, darker (90% similar). Kat Von D Synth (LE, ) is less shimmery, brighter (90% similar). Colour Pop Backstage (P, $5.00) is darker, cooler (90% similar). Colour Pop Zoomship (P, $5.00) is lighter (85% similar). 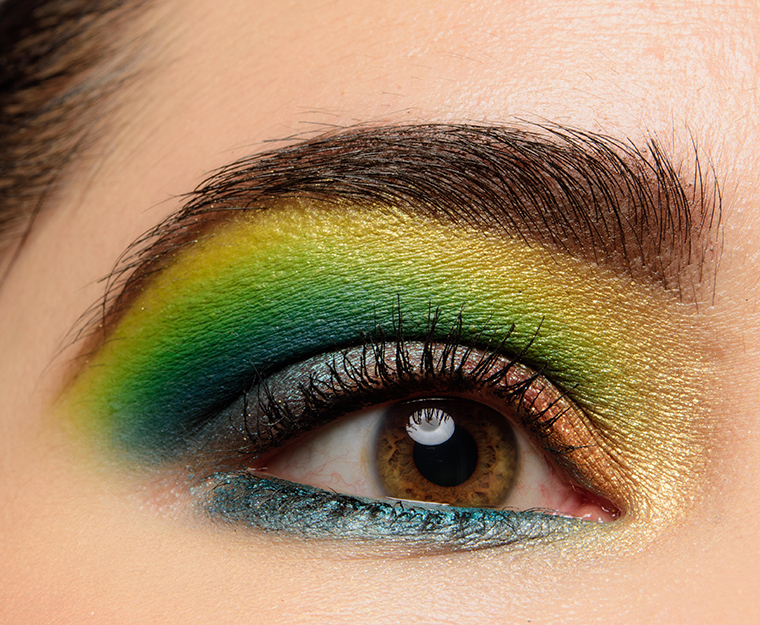 Coloured Raine Drip Drop (P, $6.99) is brighter (85% similar). Kat Von D Doom (LE, ) is less shimmery, lighter, brighter (85% similar). Natasha Denona Laguna (LE, ) is lighter (85% similar). 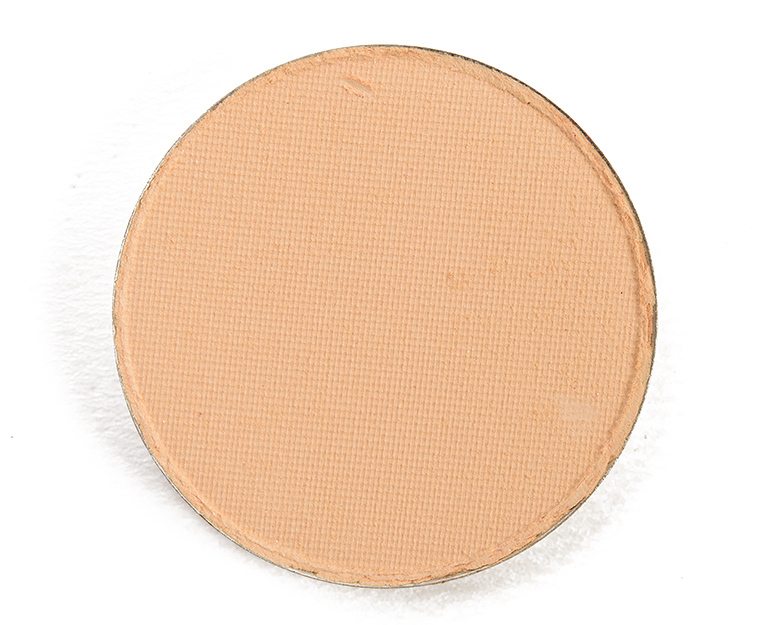 Natasha Denona Koh Tao (89V) (P, $29.00) is less shimmery, lighter (85% similar). Colour Pop Taco (LE, $5.00) is less shimmery, lighter (80% similar). 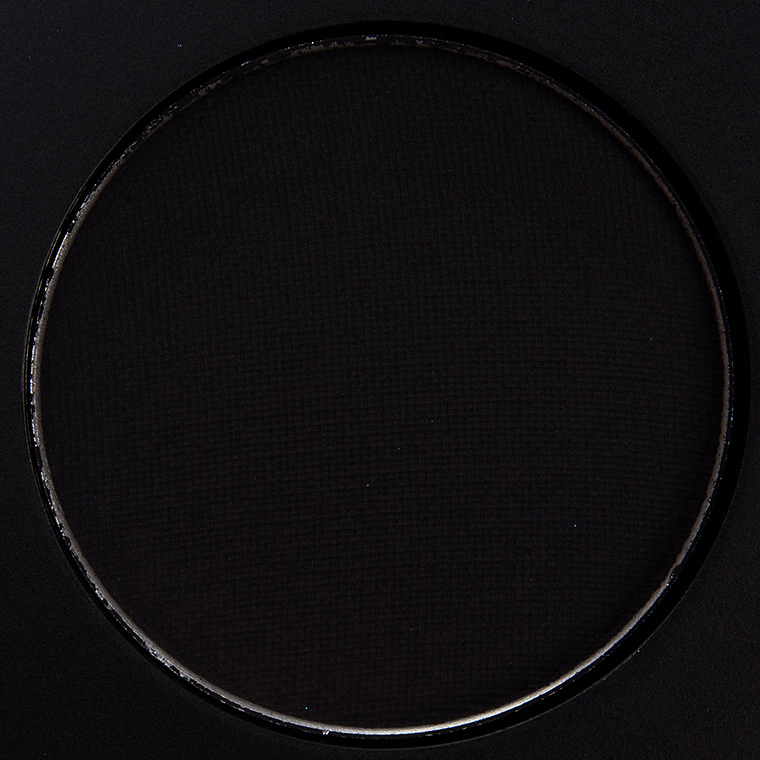 Carbon is a medium-dark black with neutral undertones and a matte finish. It had medium, buildable pigmentation with a drier, stiffer texture. 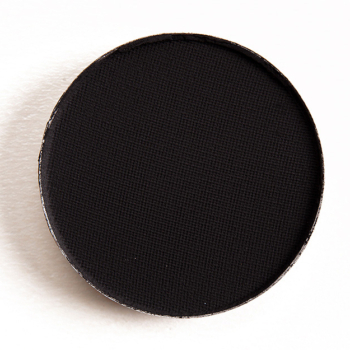 Carbon is one of those shades that swatches pitifully but is excellent for adding and layering over other shades to darken but less so for all-over application or when one wants true black eyeshadow. 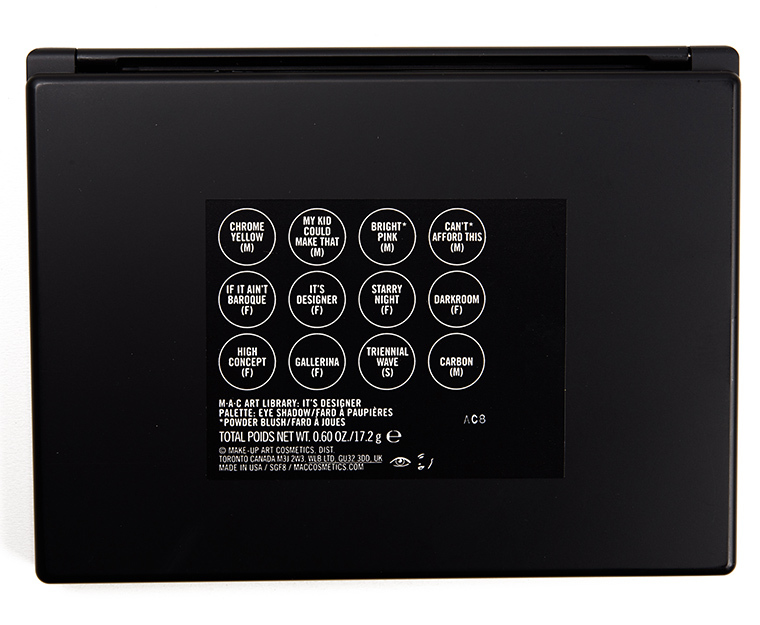 The version included the palette is not the best nor the worst Carbon I’ve encountered in my time; it was more workable but definitely more in the “buildable pigmentation” zone. It wore well for seven and a half hours on me before I noticed slight fading. 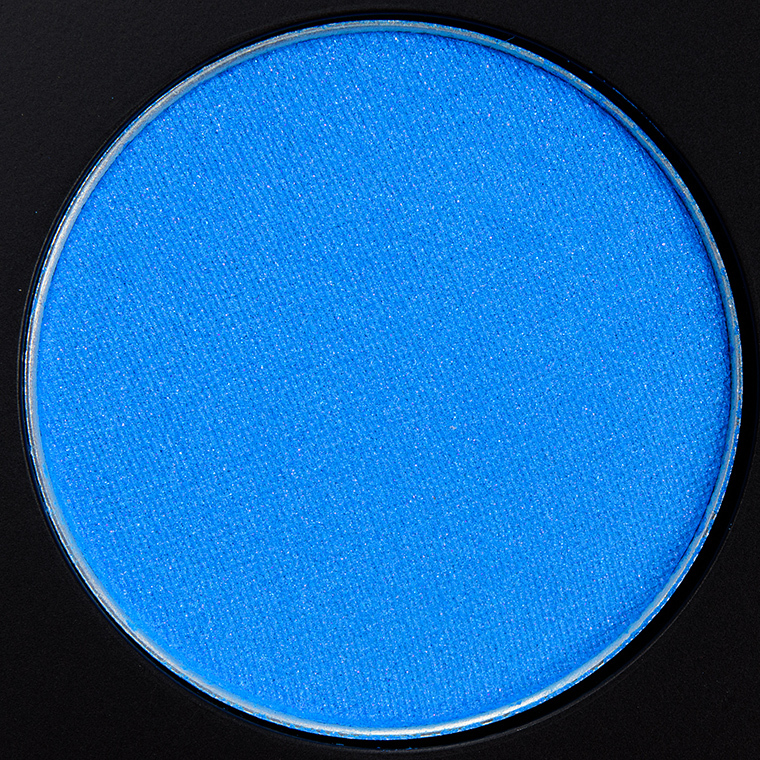 MAC Bleuluxe #5 (PiP, ) (100% similar). Guerlain Les Ombres de Nuit #4 (LE, ) (100% similar). 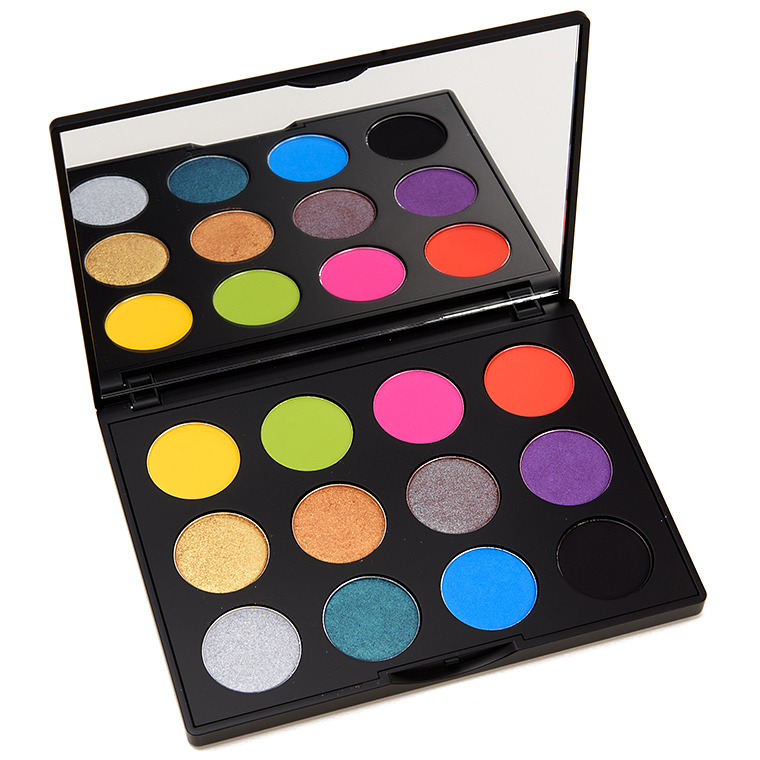 Make Up For Ever #04 (DC, $20.00) (100% similar). Kat Von D Killing Moon (LE, ) (100% similar). Giorgio Armani #1 Fall Collection 2012 #4 (LE, ) is cooler (95% similar). NARS Filbuste (P, $28.00) is glossier (95% similar). Sephora Obsidian (PiP, ) is warmer (95% similar). Too Faced Sin City (LE, $16.00) is lighter (95% similar). Colour Pop Let’s Do It (P, $5.00) is warmer (95% similar).